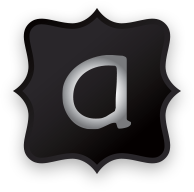 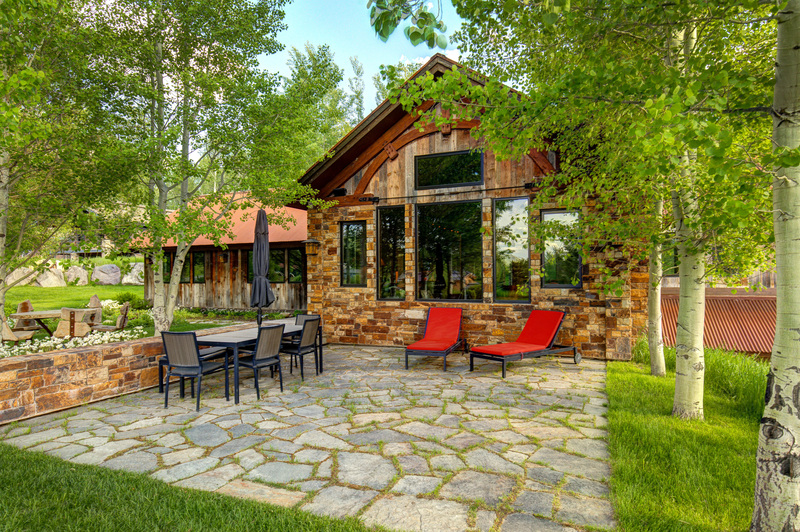 CLICK HERE to take a 3D virtual tour of Abode at Teton Manor. 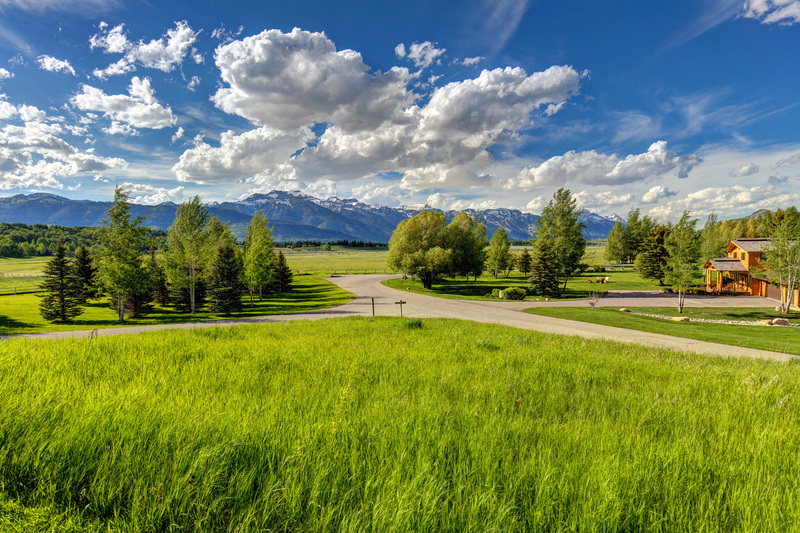 It’s a view you can’t compare with anything else. 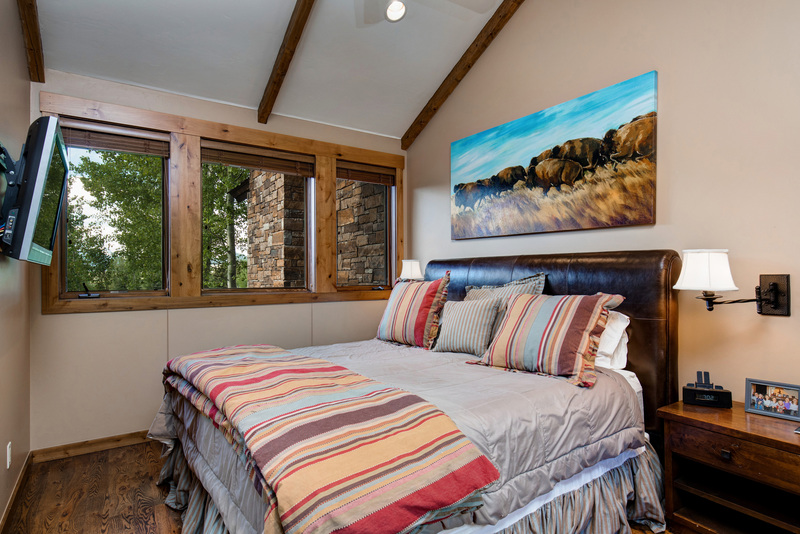 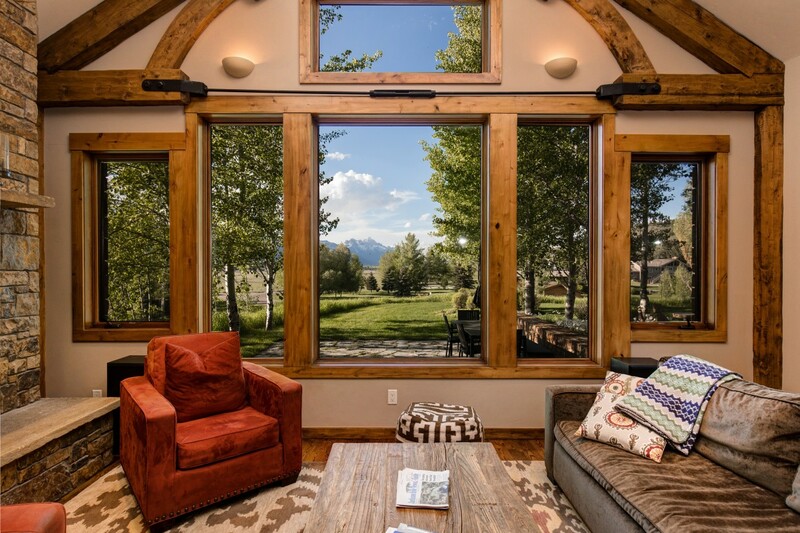 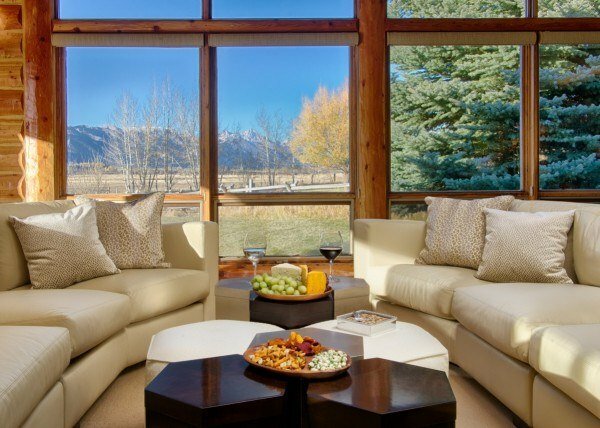 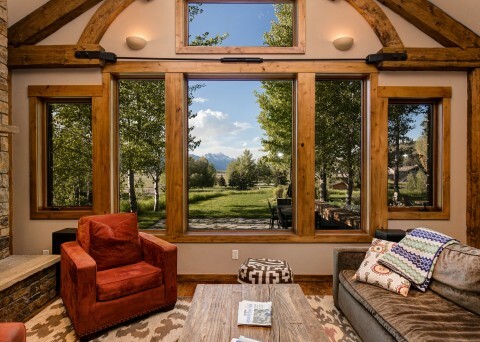 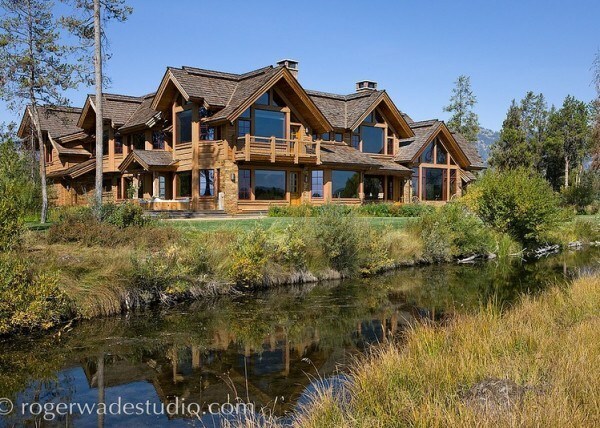 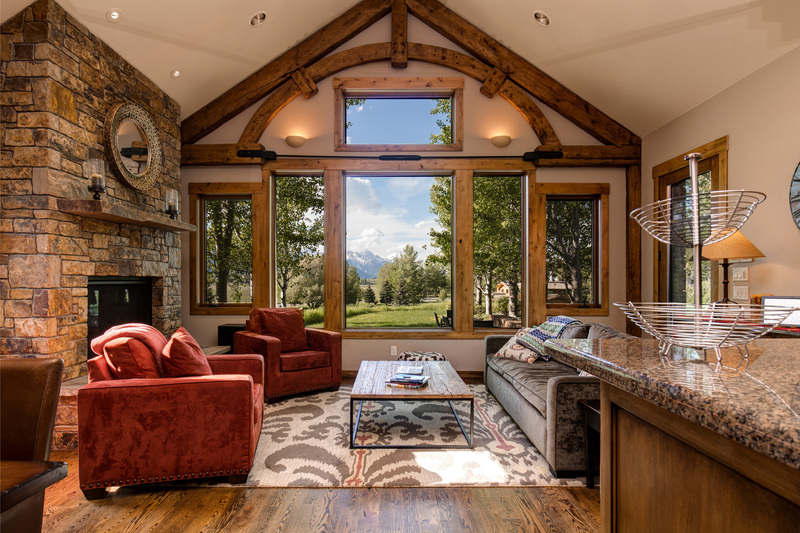 Abode at Teton Manor sits below Teton Mountain, and its far-reaching windows encourage the stunning view to follow you wherever you go. 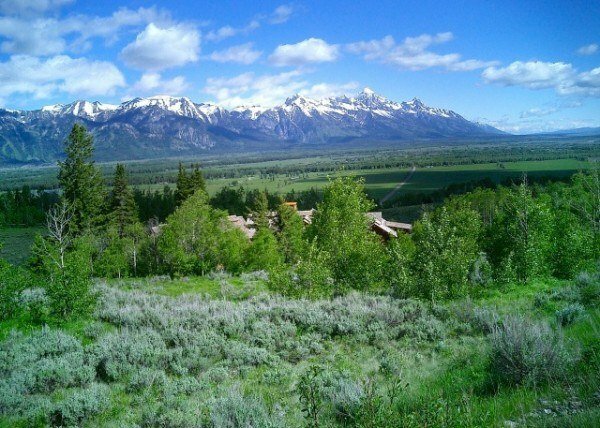 And, if you’re traveling to Jackson Hole, it’s more than likely you’ll be orbiting your vacation agenda around the mountainous wilderness which abounds you. Biking, skiing, snowboarding and hiking, there’s an adventure for the thrill-seekers around every corner. 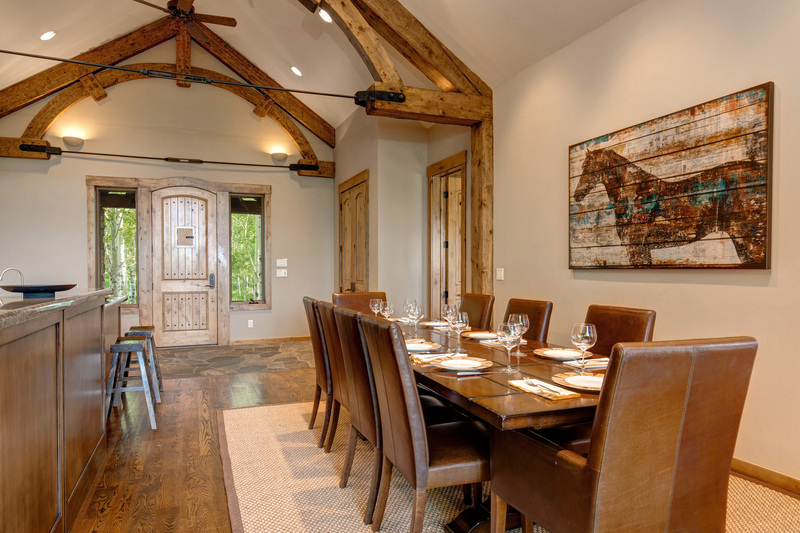 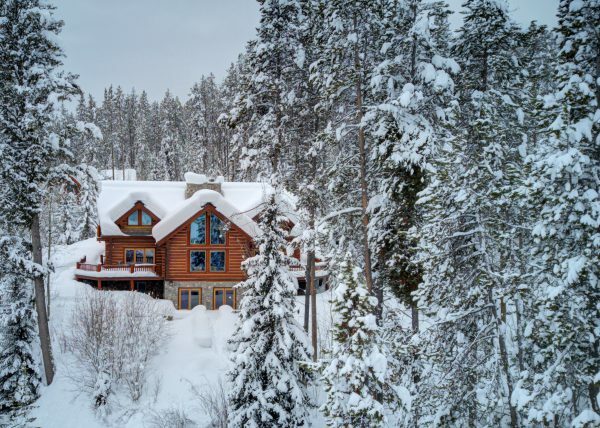 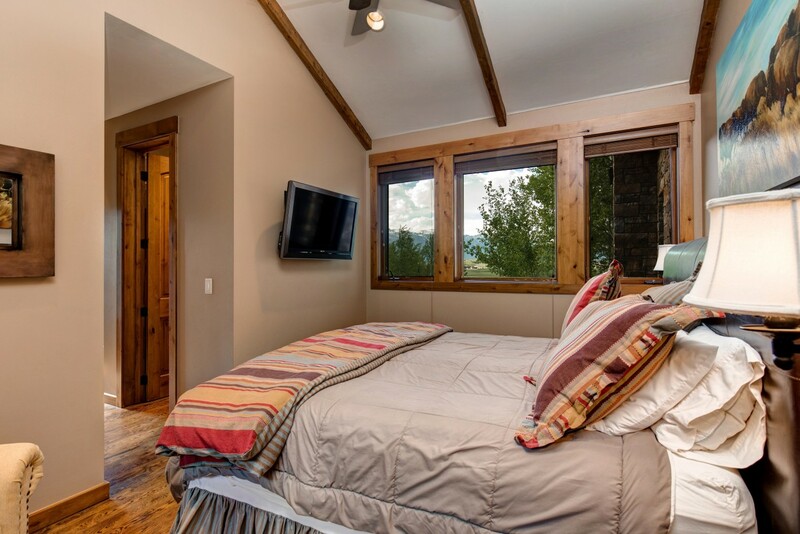 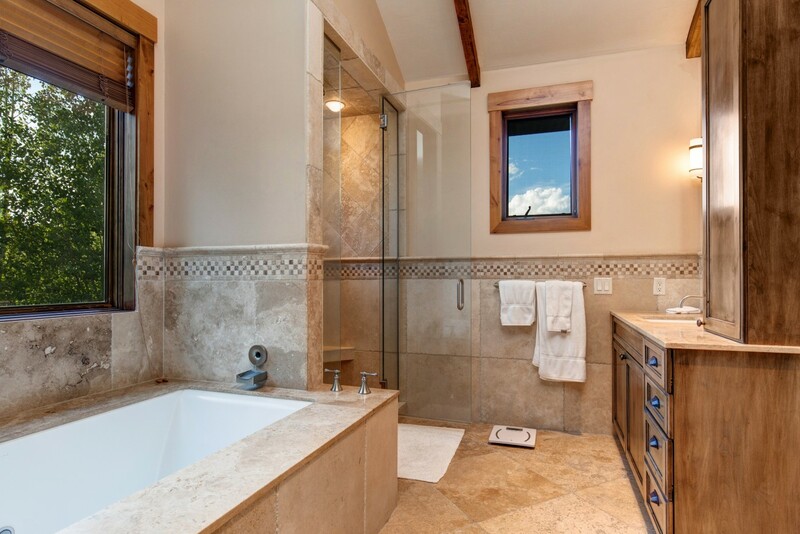 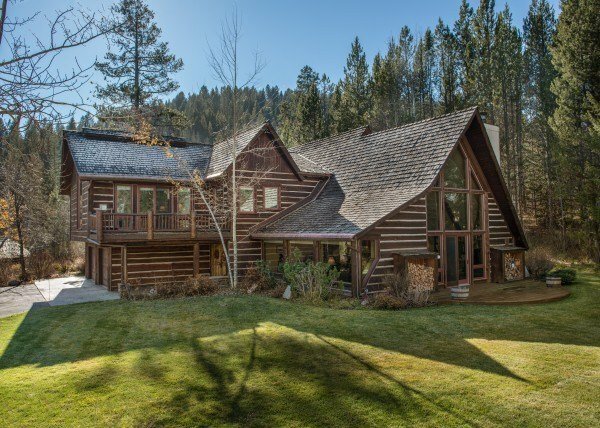 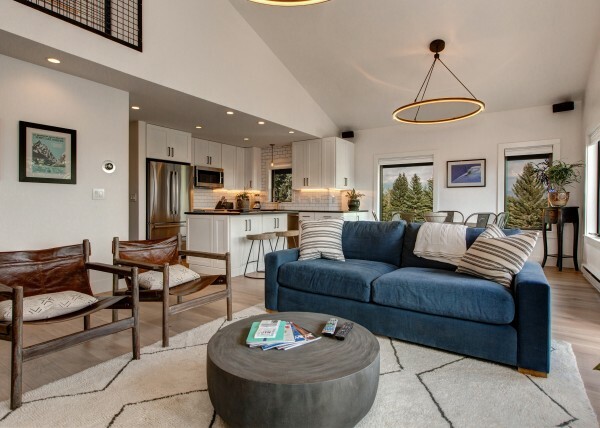 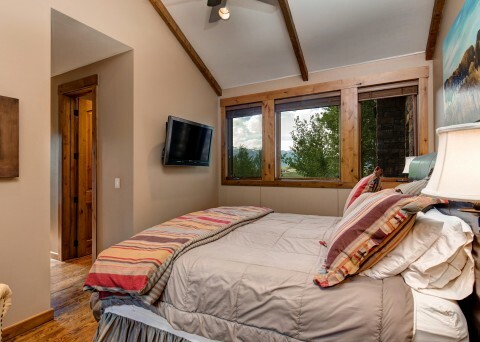 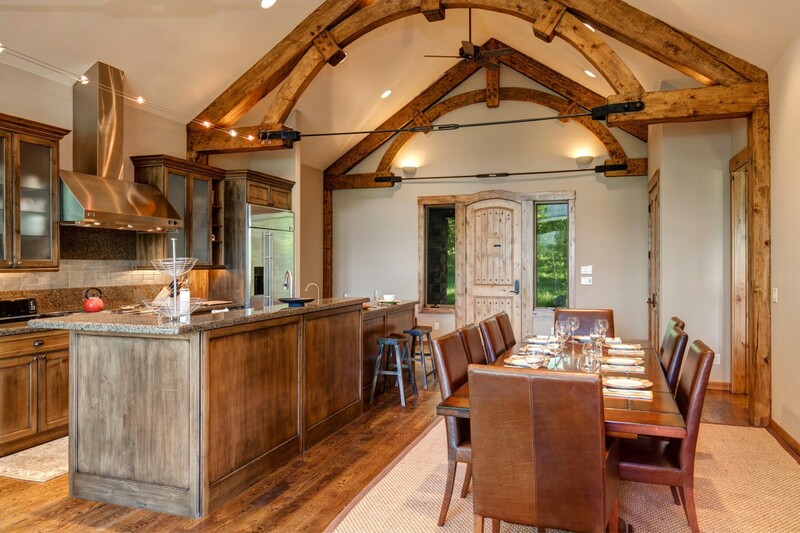 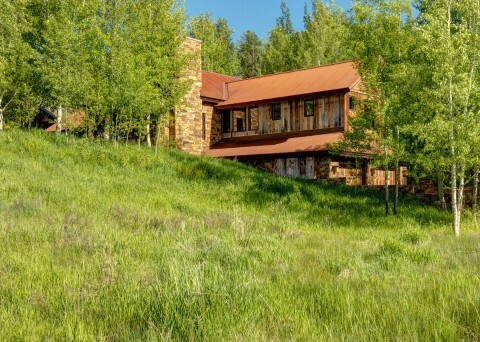 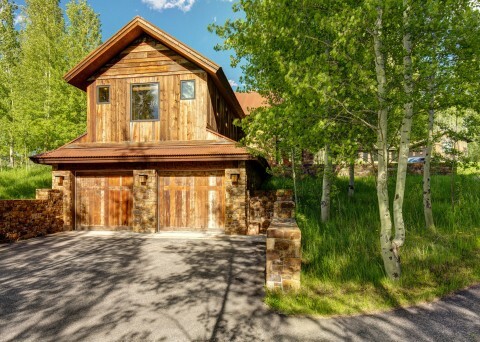 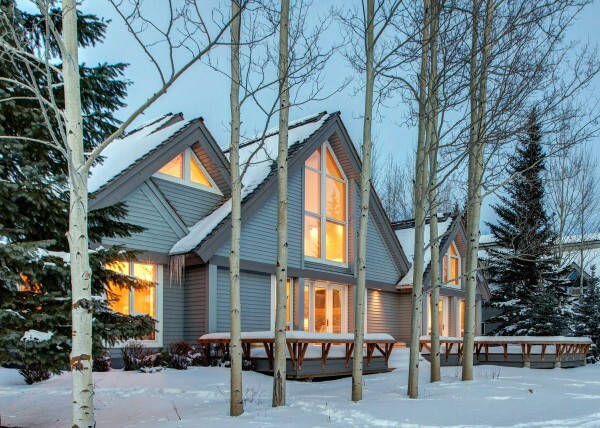 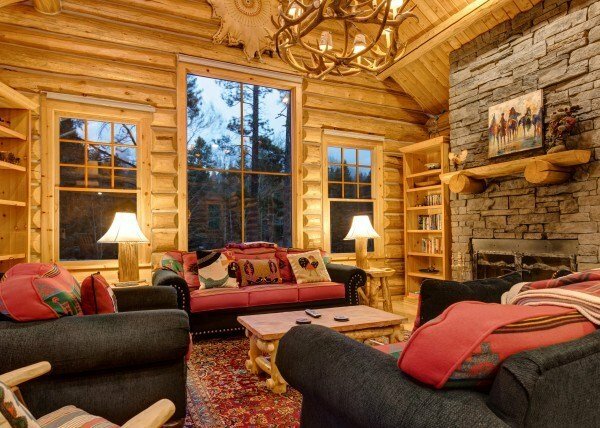 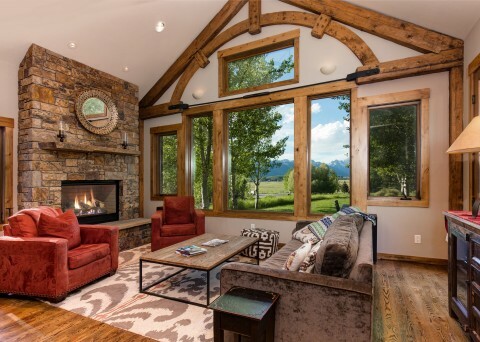 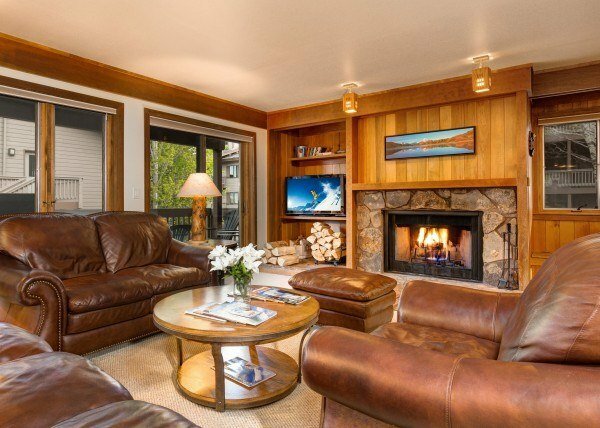 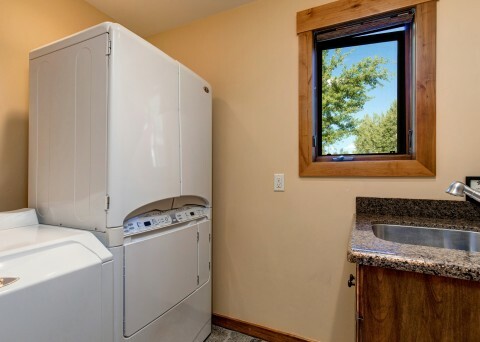 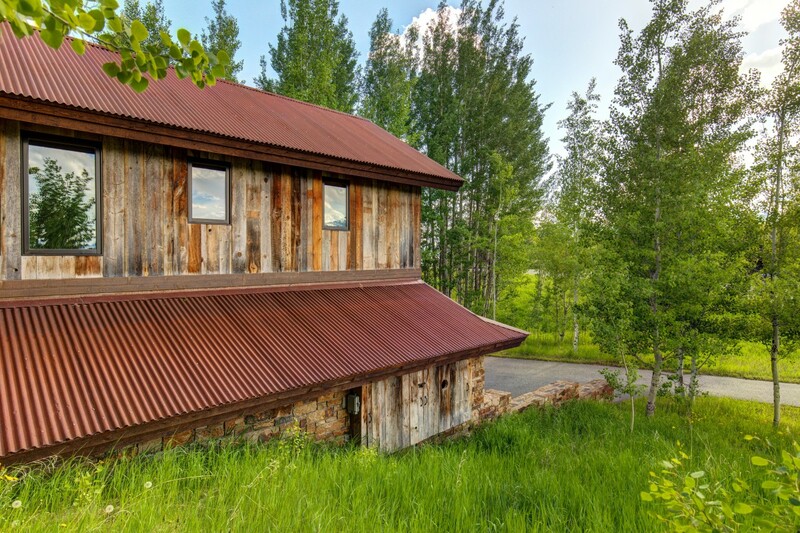 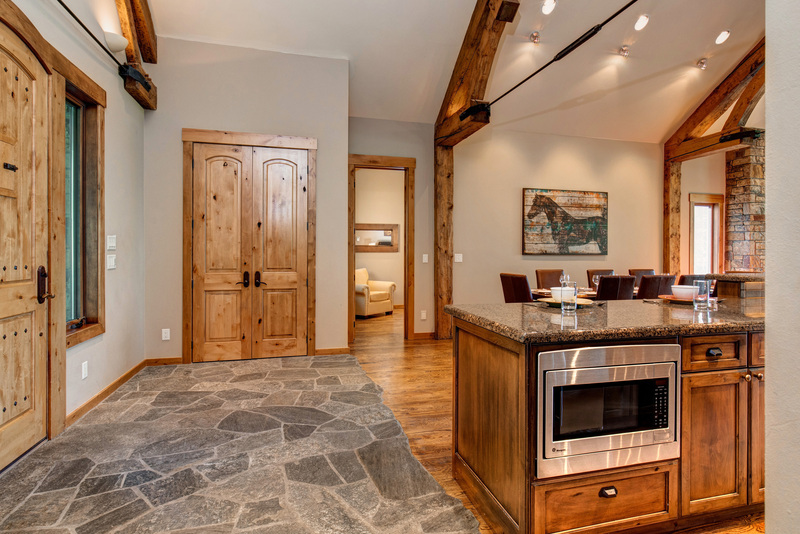 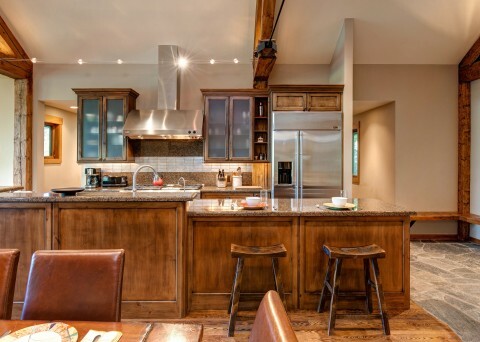 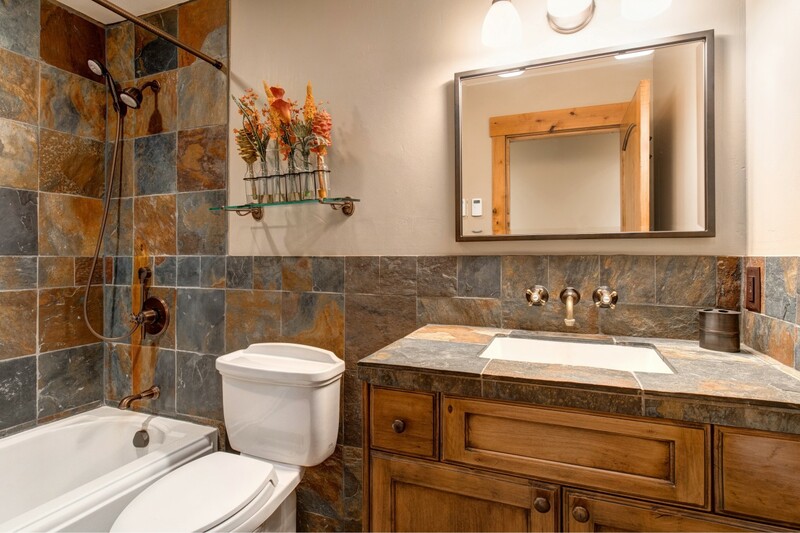 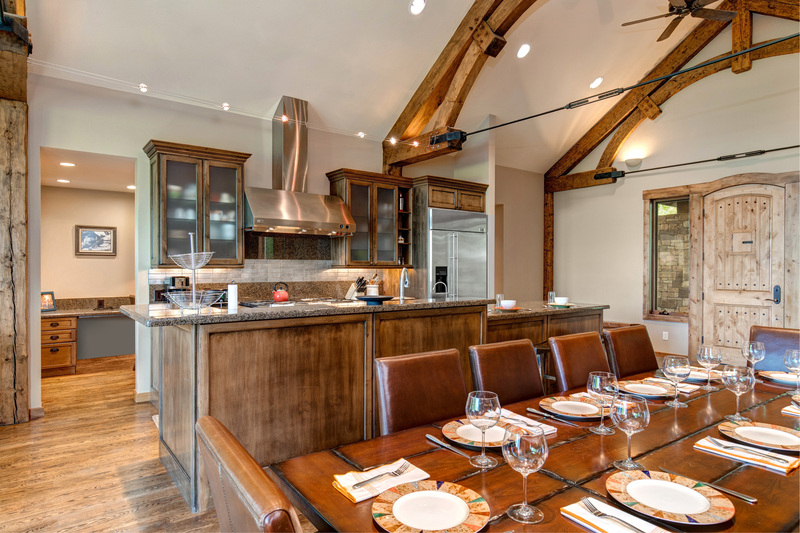 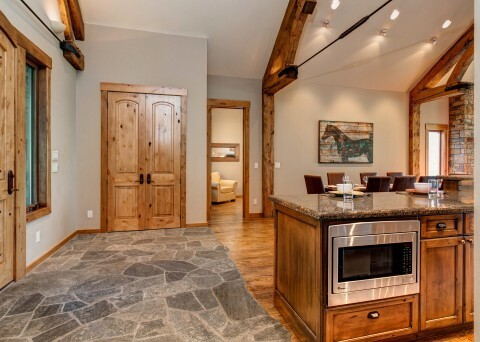 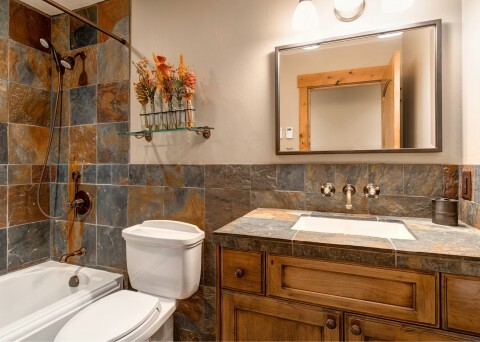 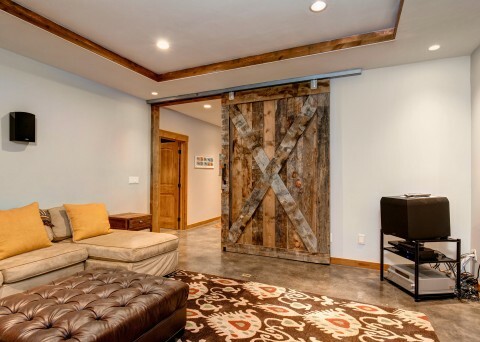 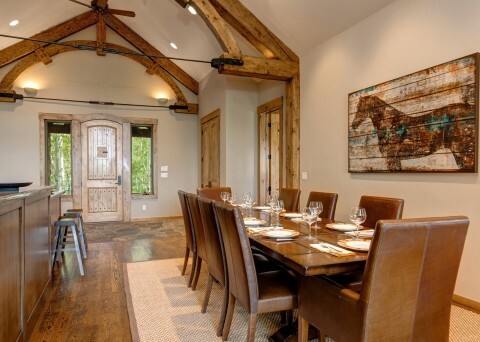 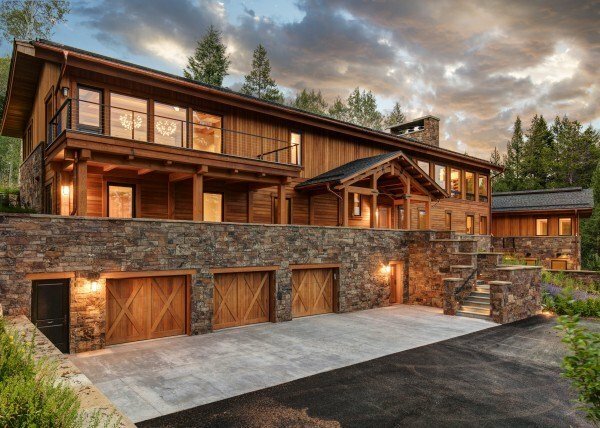 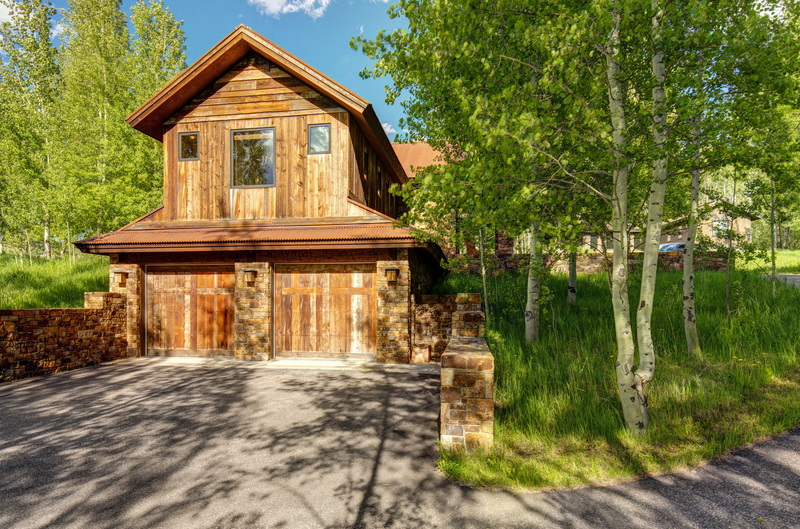 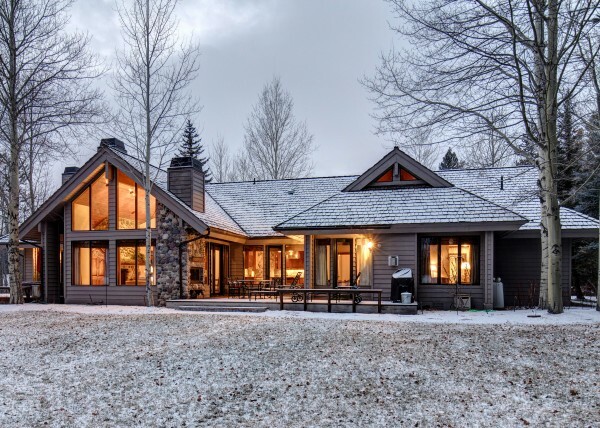 While your time will be spent exploring the wilderness, Abode at Teton Manor’s amenities make for a good excuse to skip a day on the slopes and enjoy what the house has to offer. 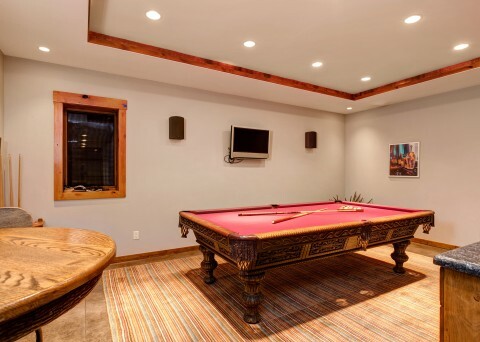 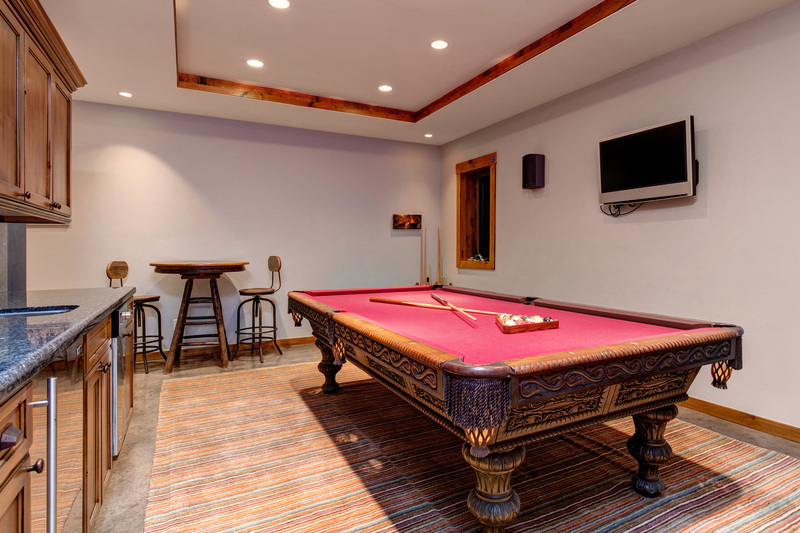 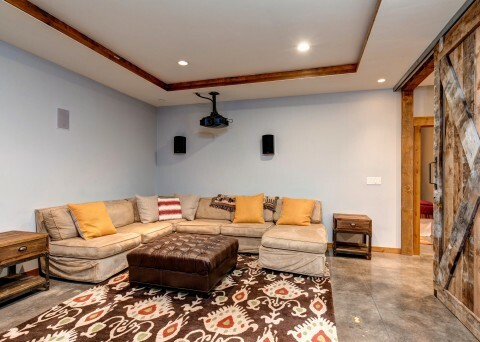 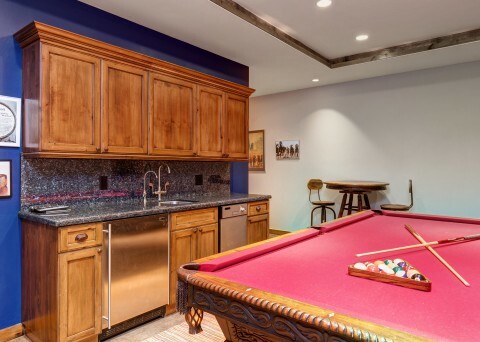 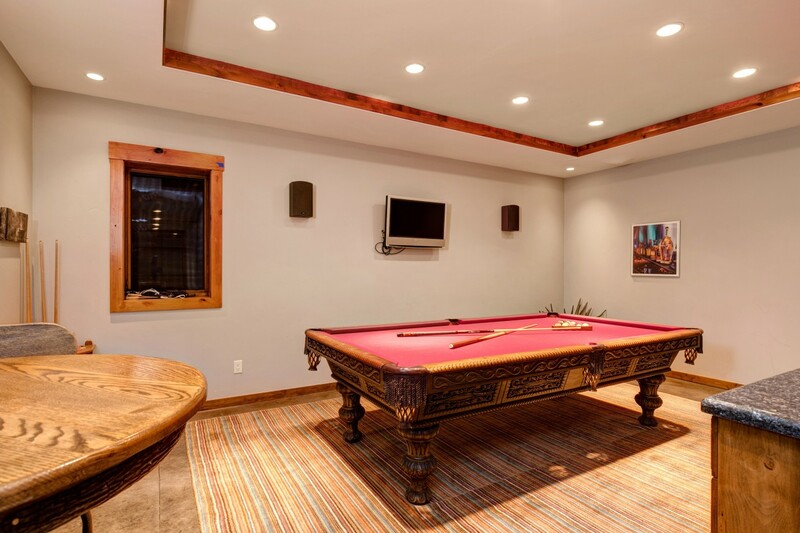 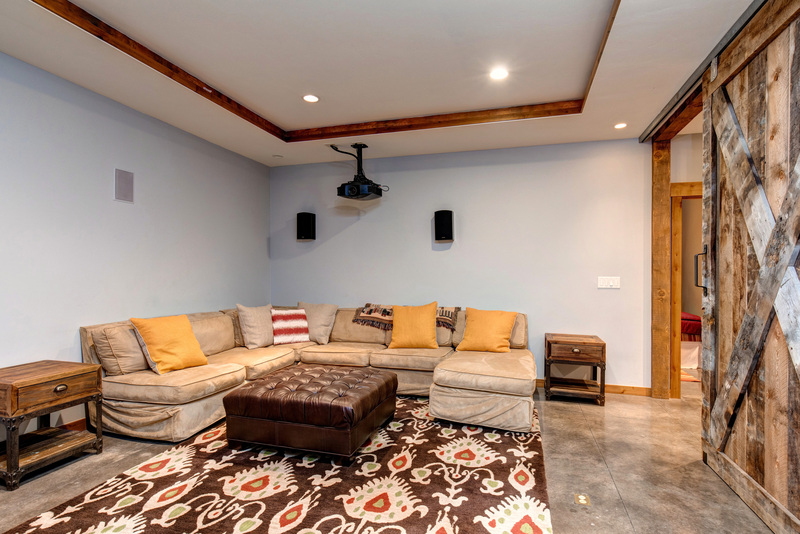 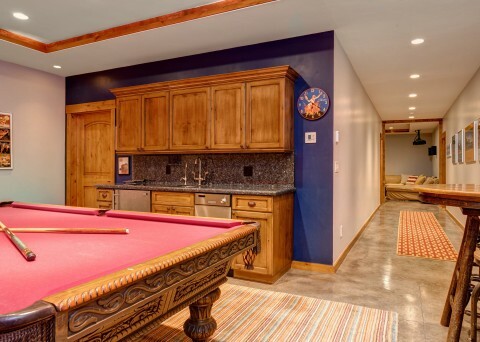 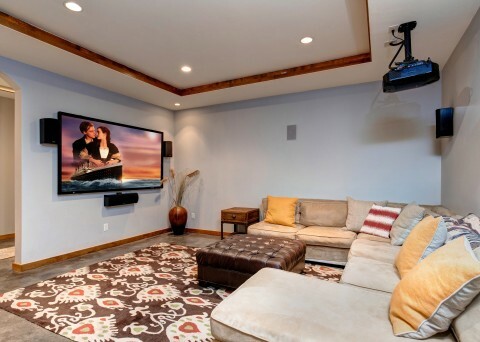 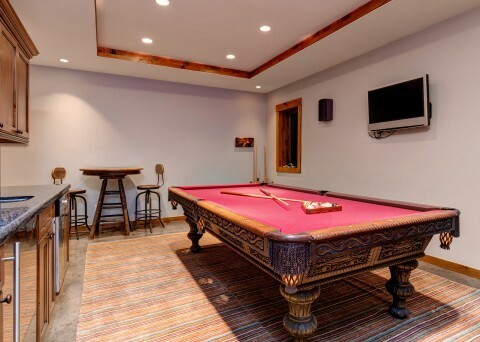 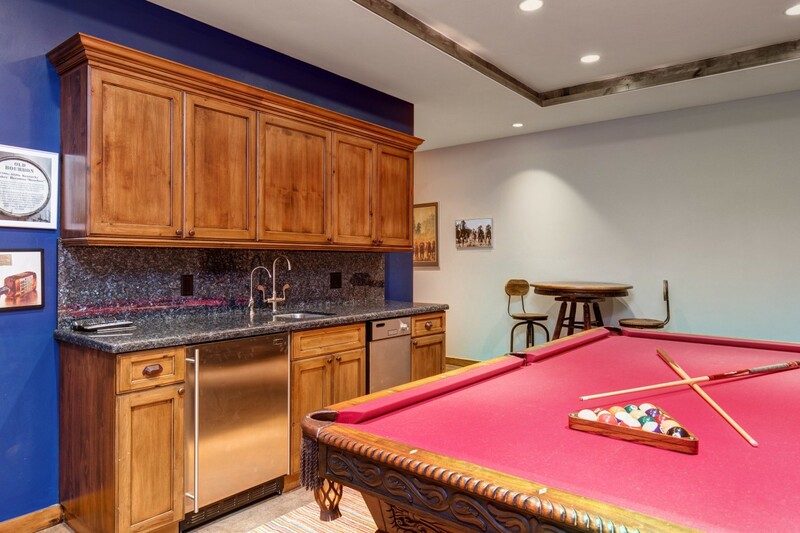 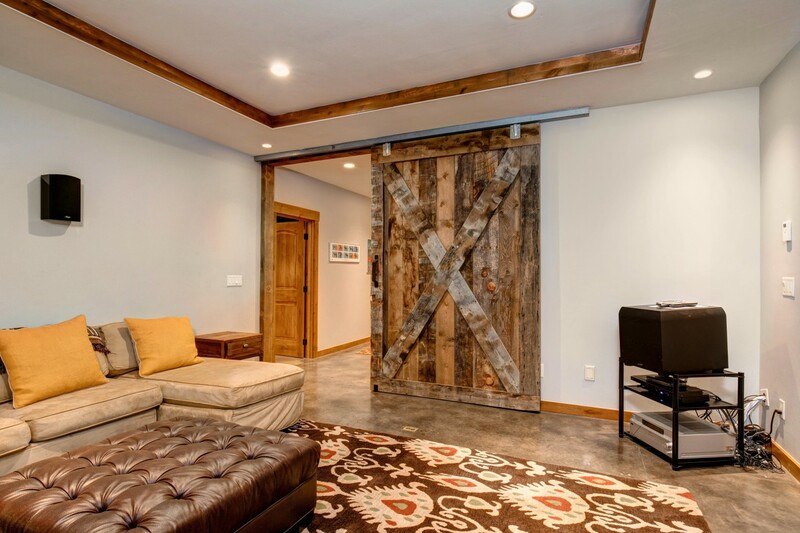 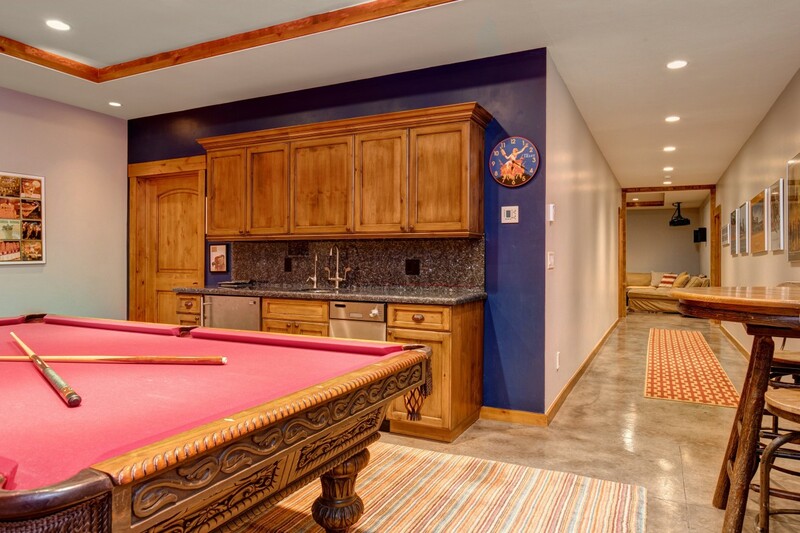 Throw on your favorite movie in the home theatre, and get a family tournament going in the games room. 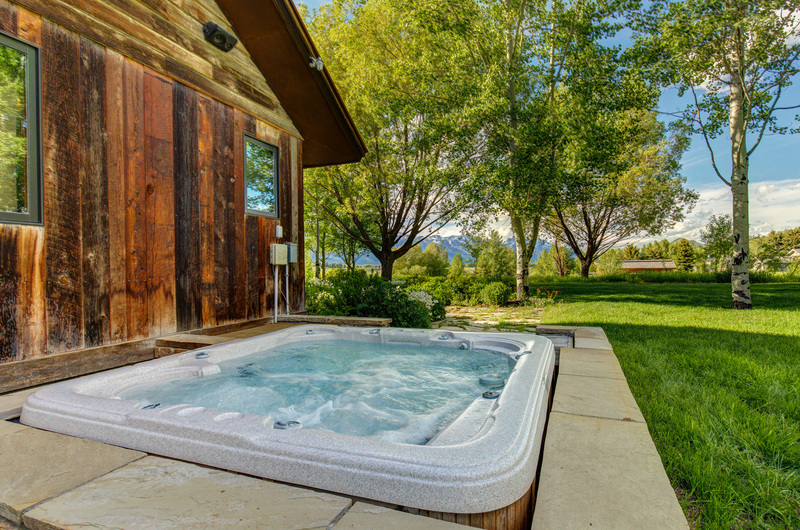 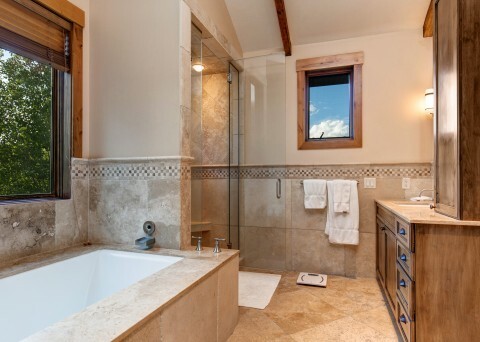 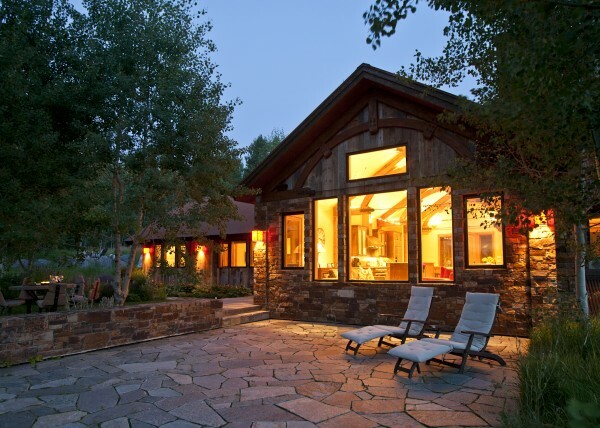 Outside, the fireplace and jetted tub (with breathtaking views) make for incredible gathering places come nightfall. 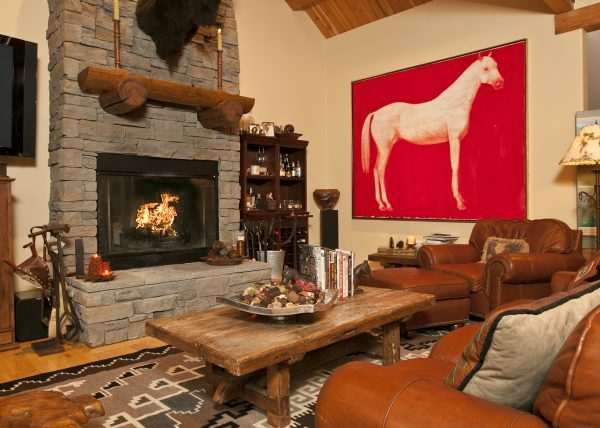 The chalet’s decor is tasteful in every way. 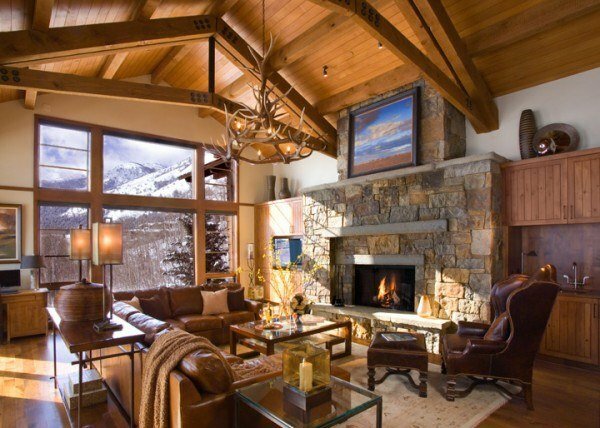 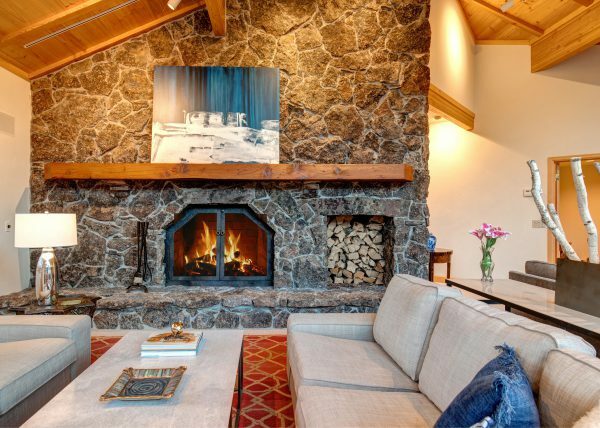 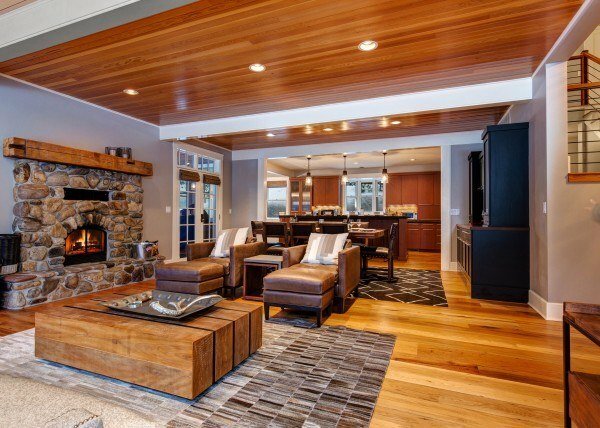 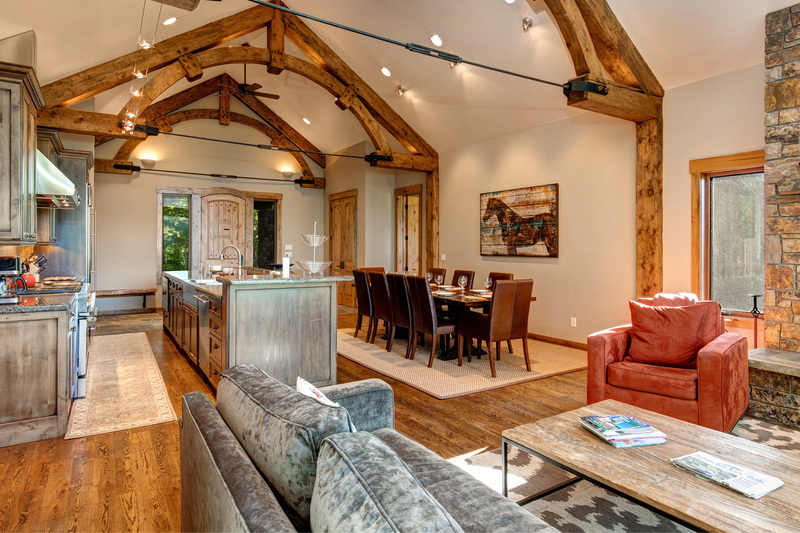 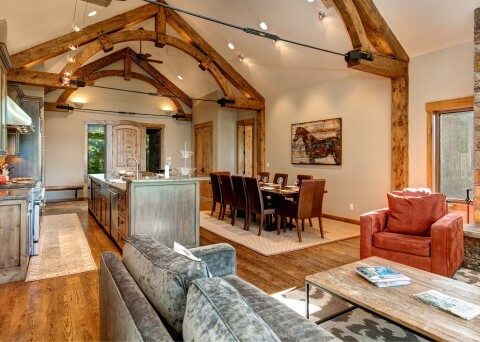 From cream coloured couches to the rustic stone fireplace, Abode at Teton Manor epitomizes understated elegance. 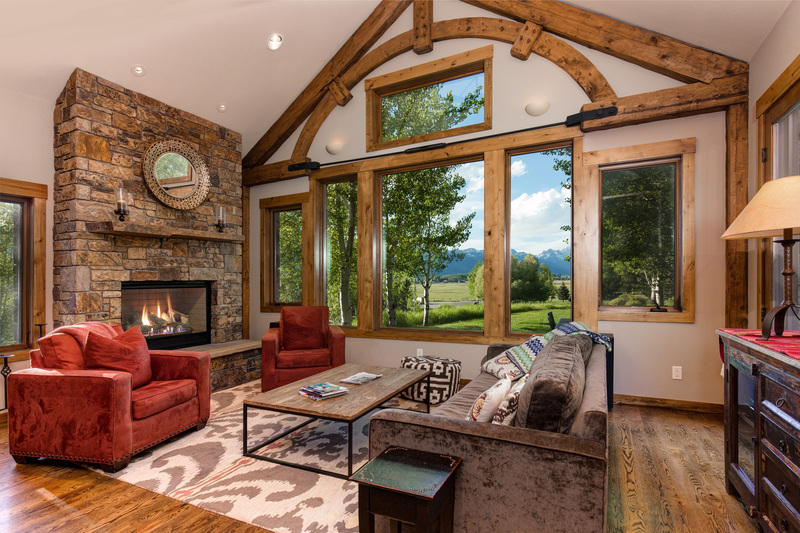 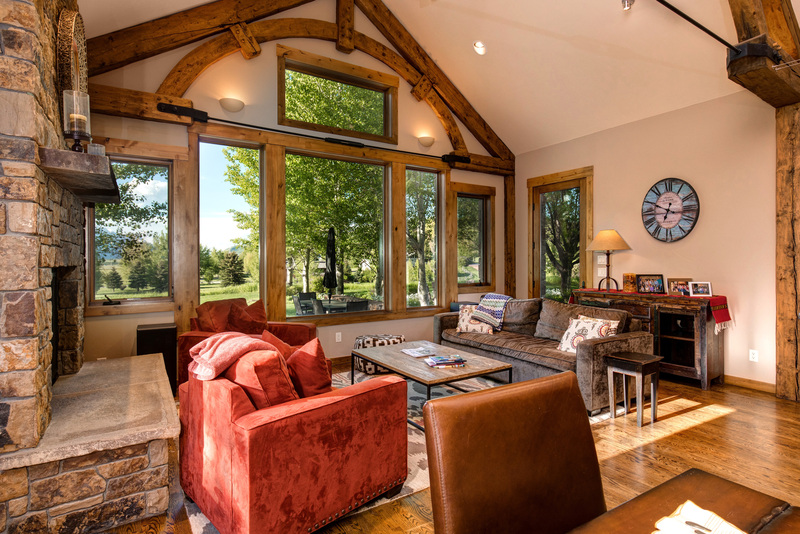 The windows and mountain views beyond take centre stage, yet the focus on comfort within the home brings a sense of cozy homeyness one seeks in a country home. 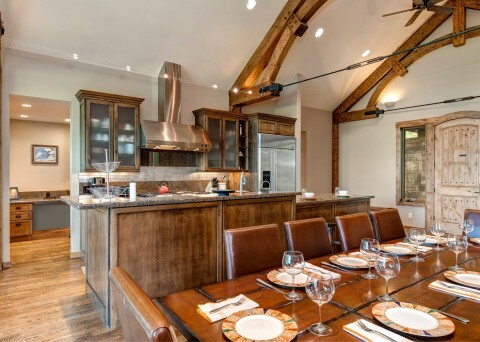 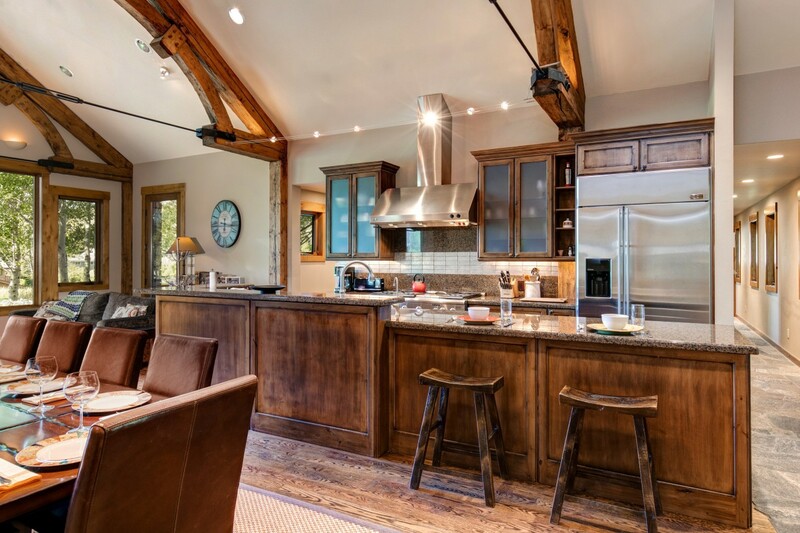 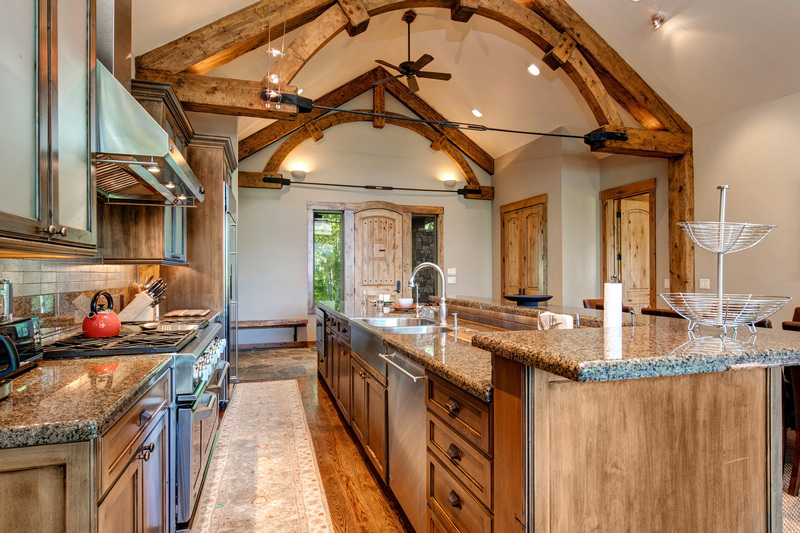 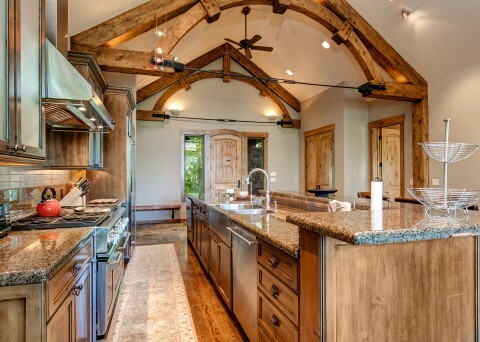 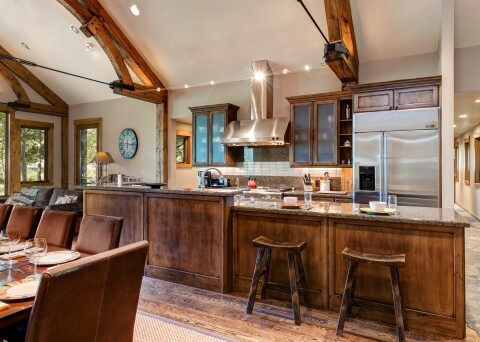 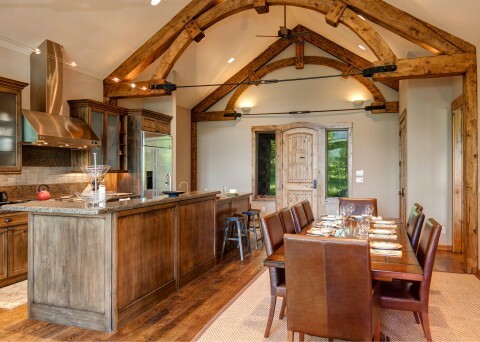 The vaulted ceiling over the home’s common spaces—kitchen, dining room and great room—make for an airy, spacious environment by which you and your friends and family will happily enjoy quality time. 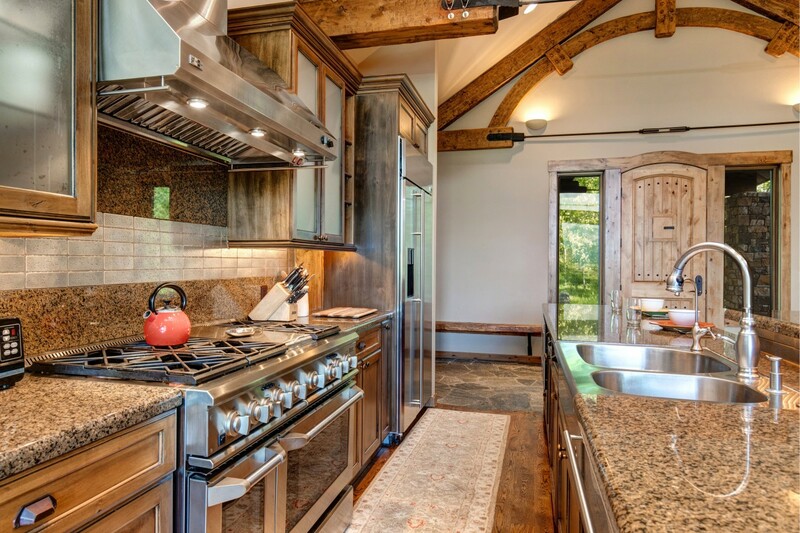 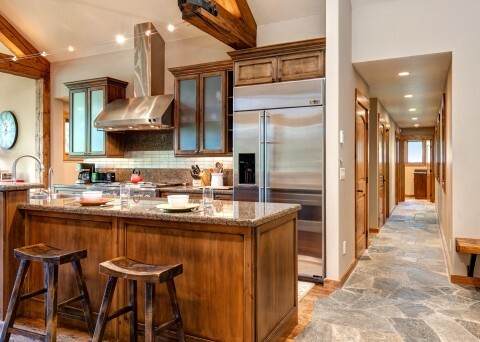 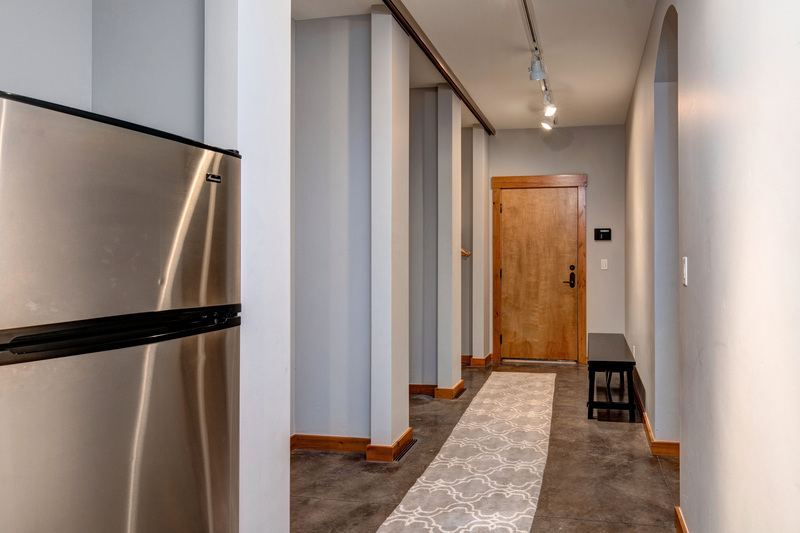 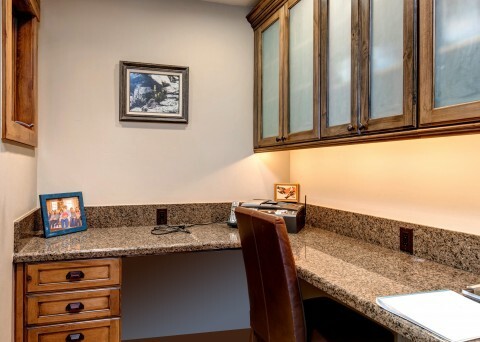 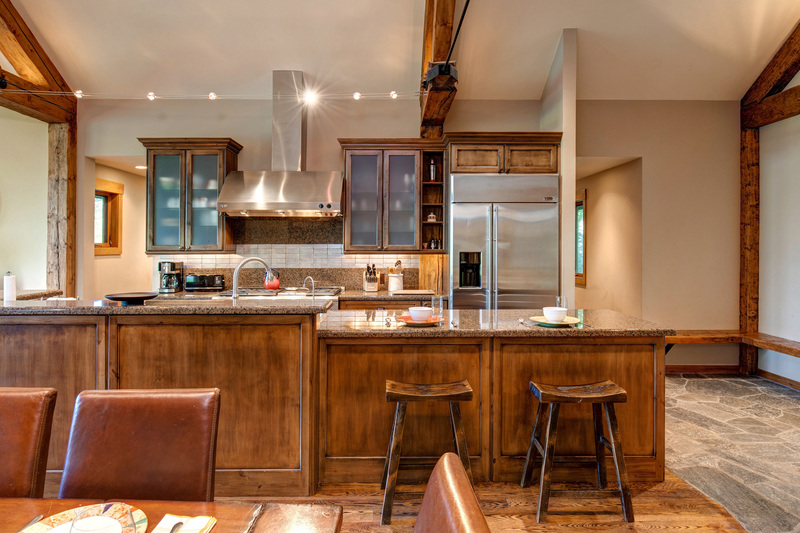 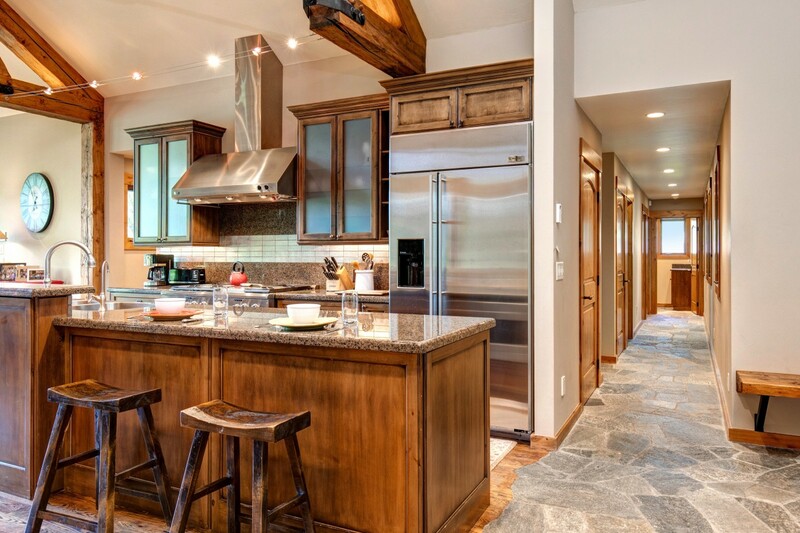 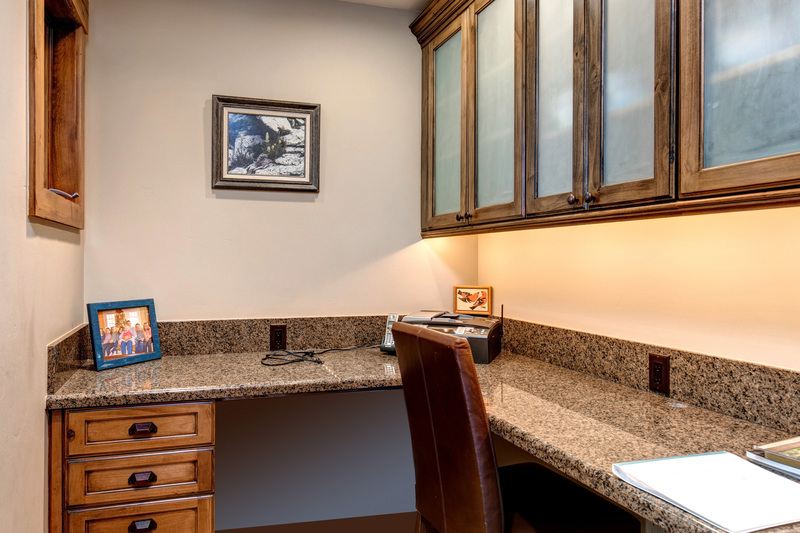 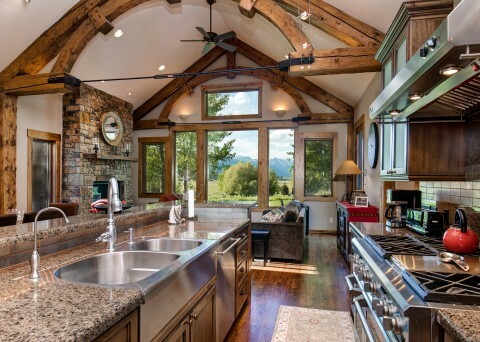 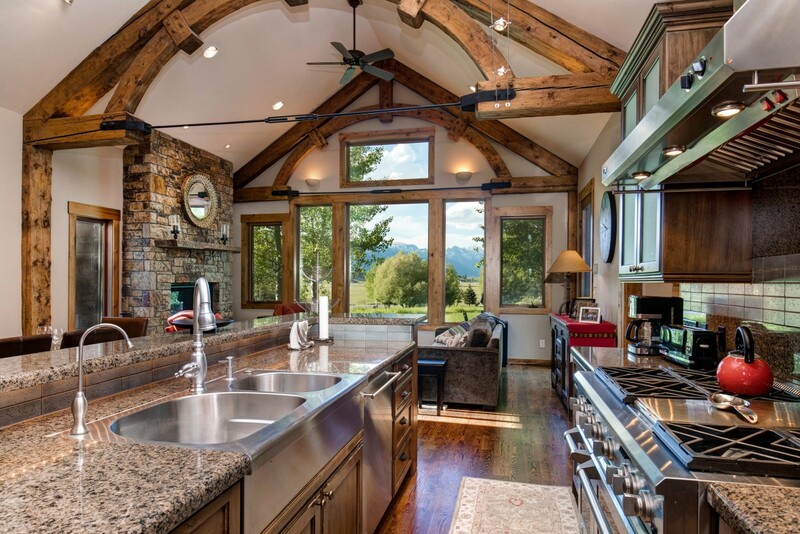 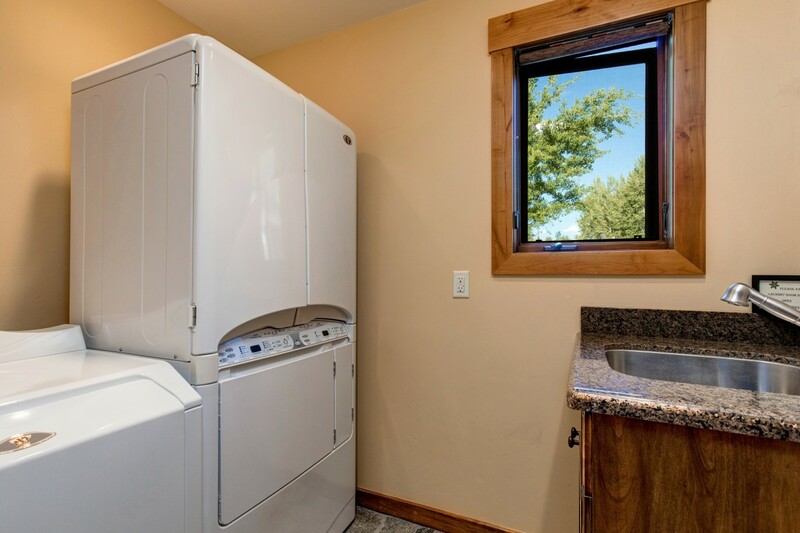 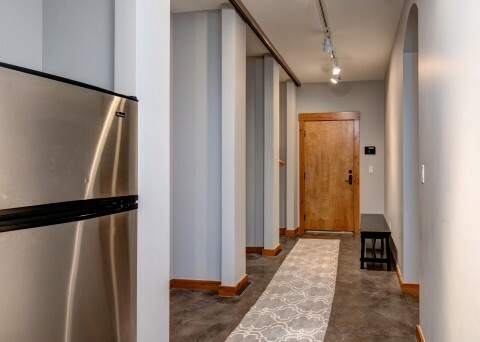 What’s more, the state-of-the art kitchen is the foodies dream—a professional-grade stove and stunning granite countertops make meal preparation easy and fun. 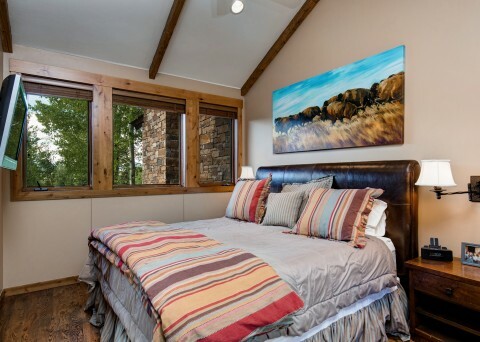 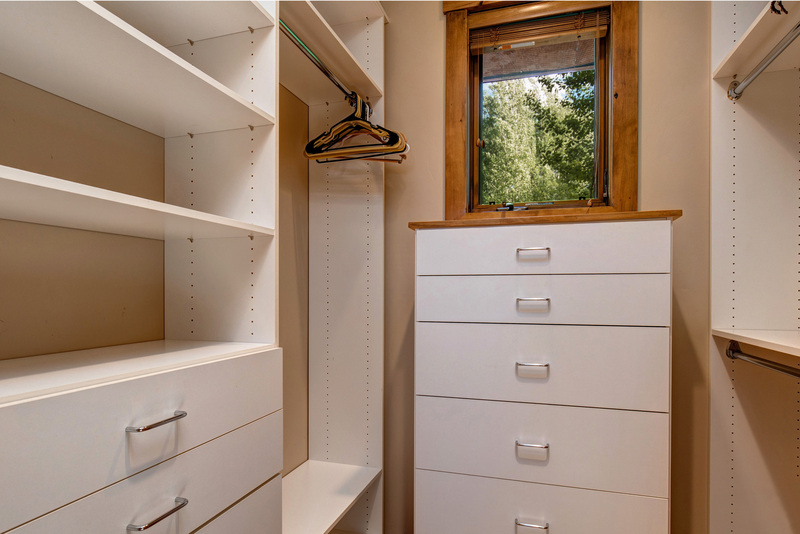 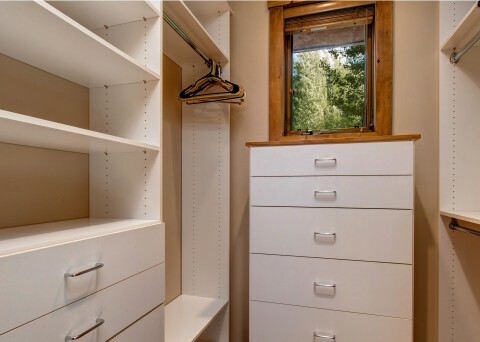 There are four bedrooms in total to comfortably accommodate up to eight guests. 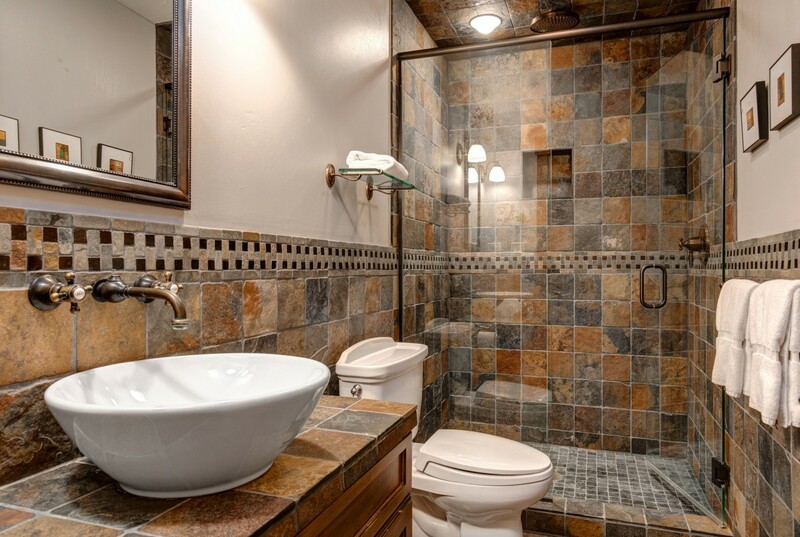 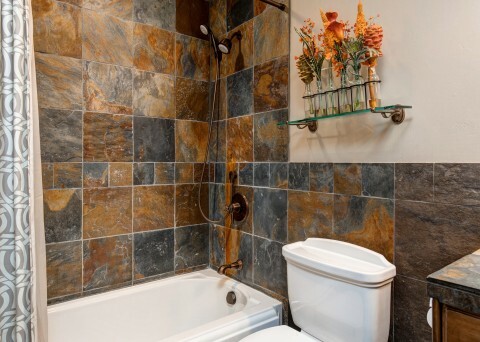 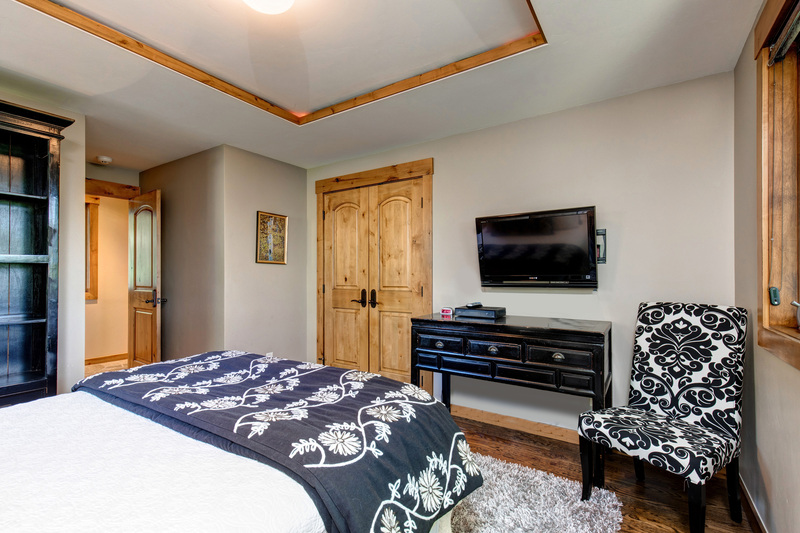 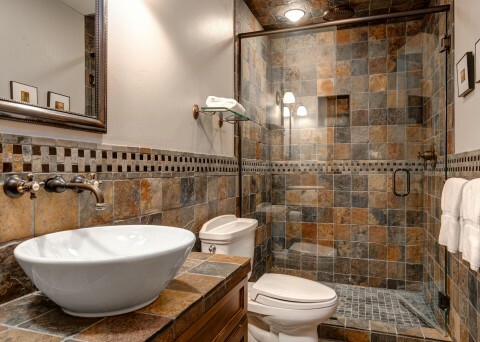 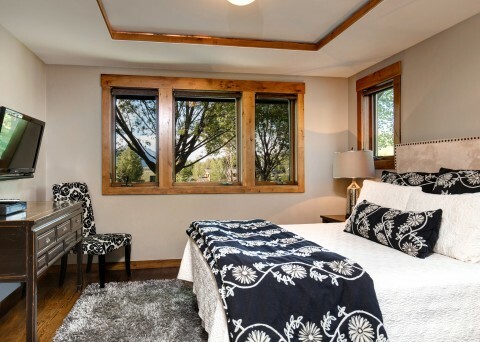 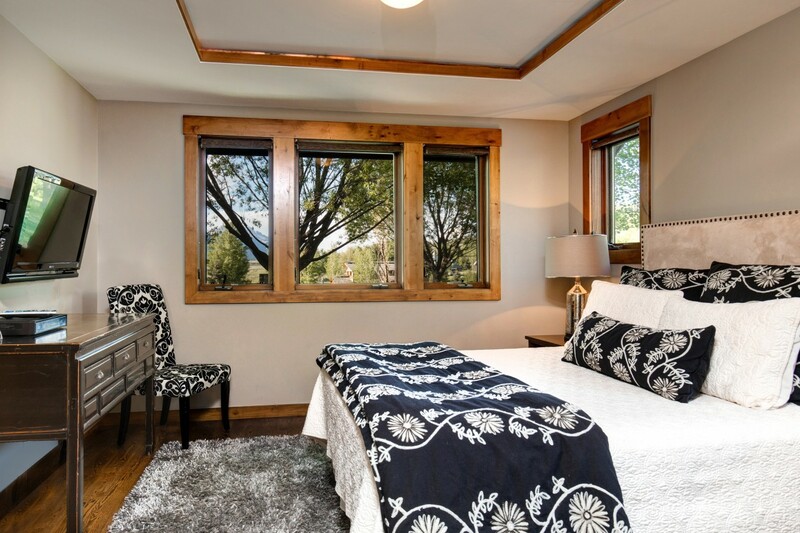 The stunning master suite has a king size bed, en-suite bathroom with steam shower and jetted bathtub, air-conditioning, a walk-in closet and television. 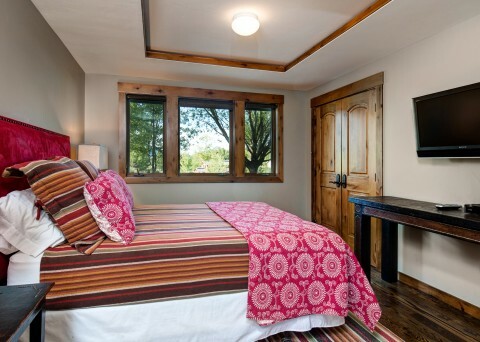 A second and third bedroom both have a queen size bed and shared bathroom. 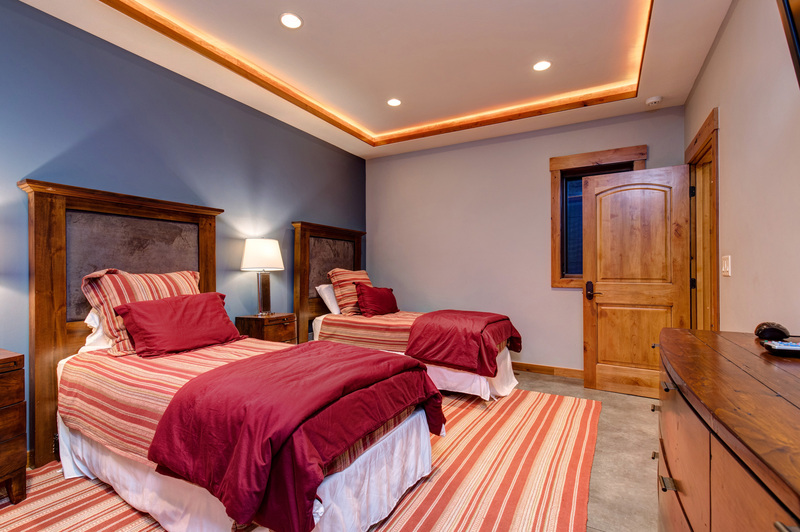 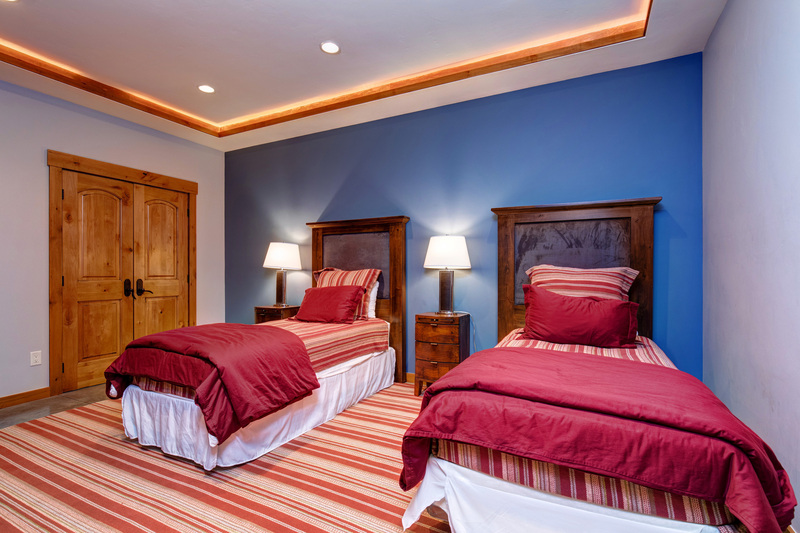 The fourth bedroom, perfect for the younger guests, has two twin beds. Additional bedding is available in the games room upon request. 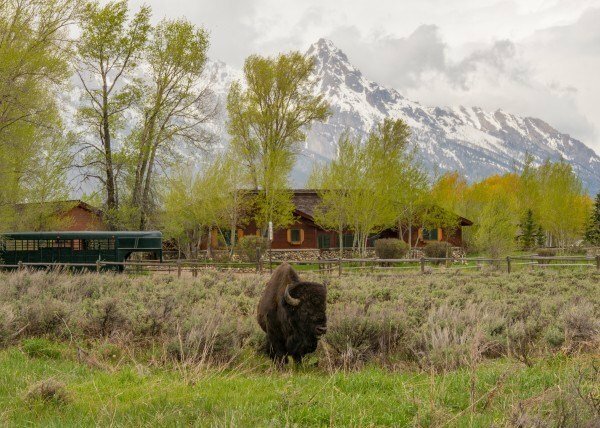 Whether hot Wyoming summer sunshine or fluffy winter snow brings you to Jackson Hole, you’re guaranteed to leave with a newfound appreciation for nature. 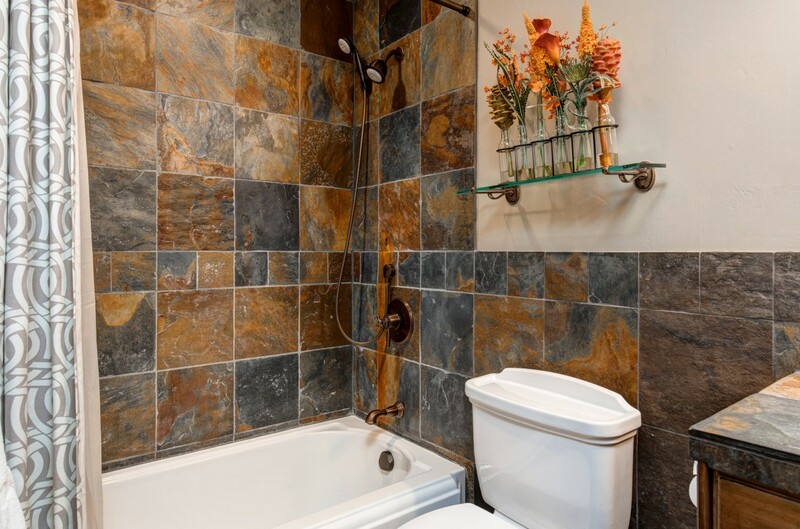 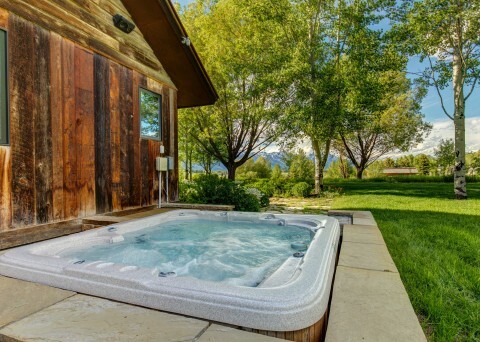 Be prepared for Moose and geyser spottings while sipping morning coffee, and clear starry nights while you lounge in the hot tub with the nightcap of your choice. 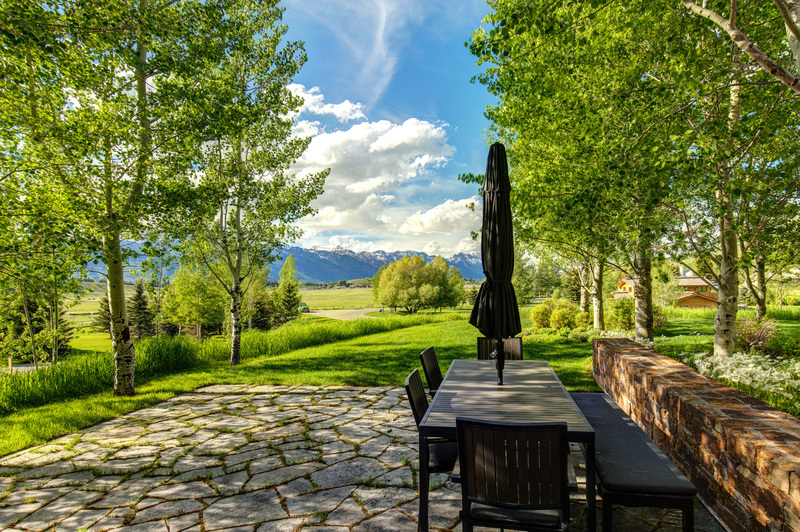 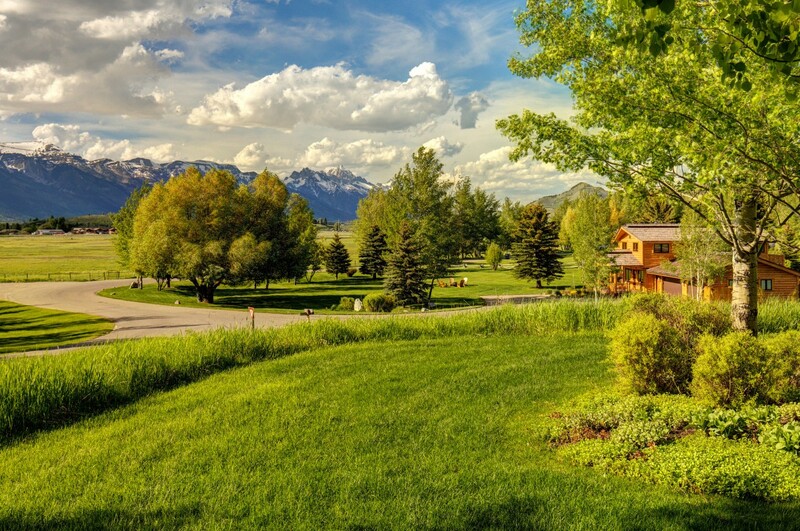 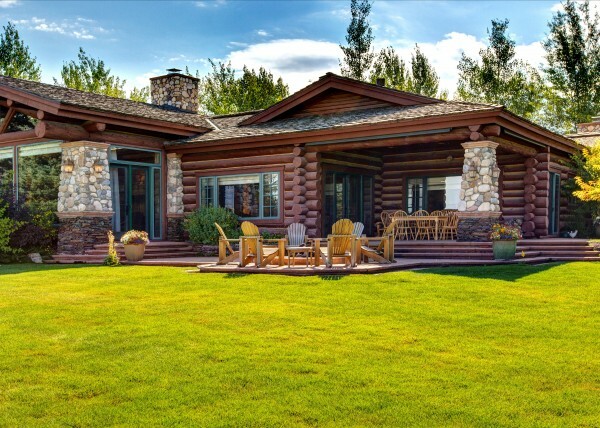 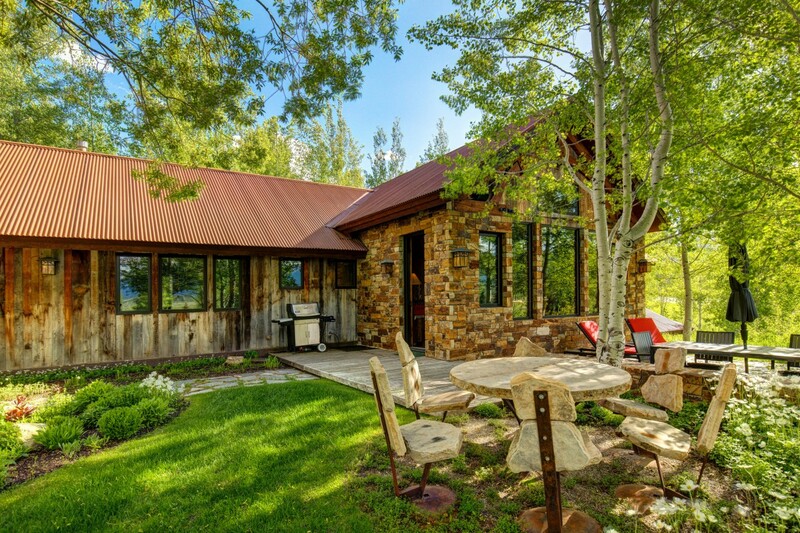 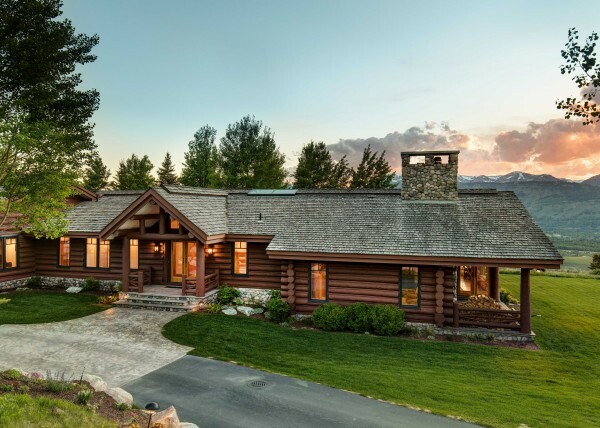 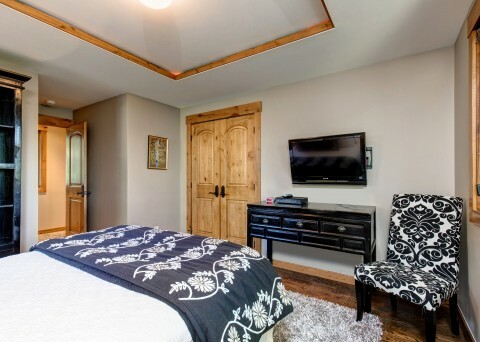 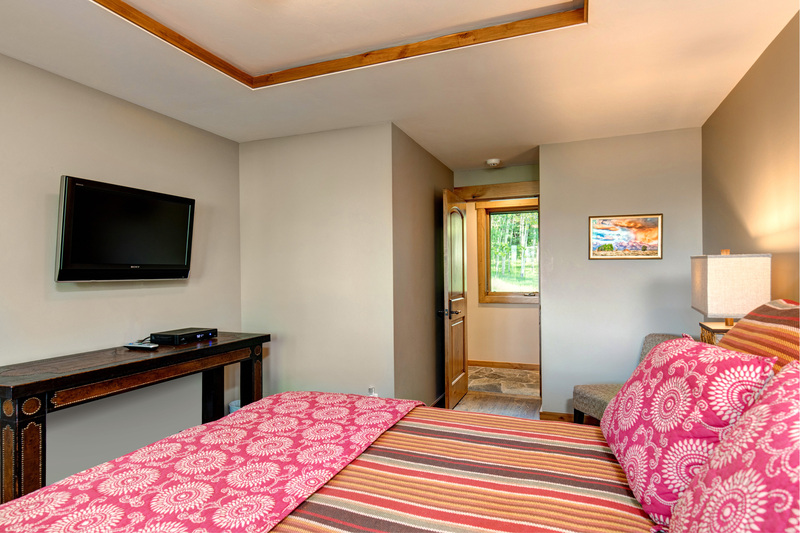 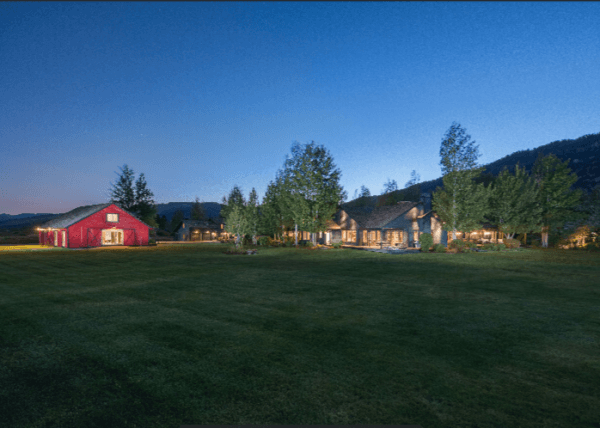 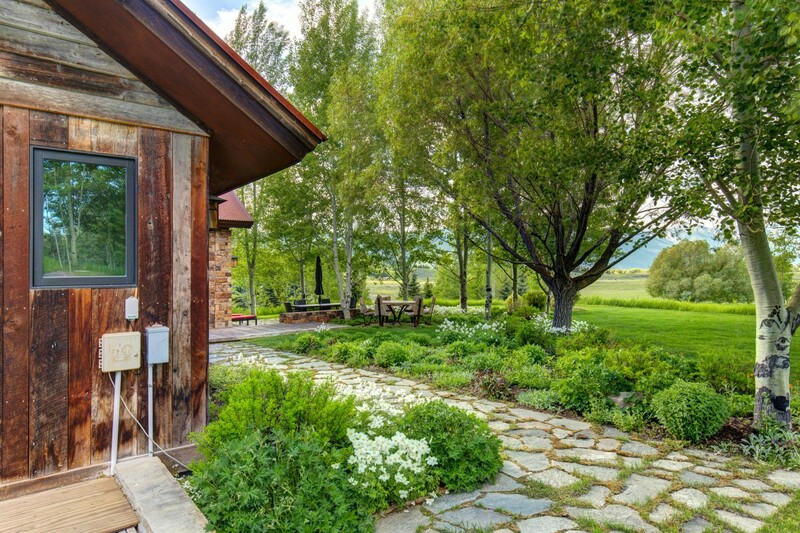 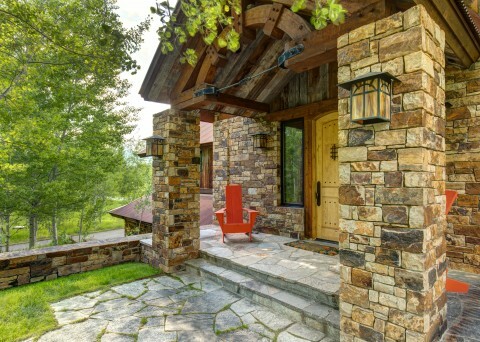 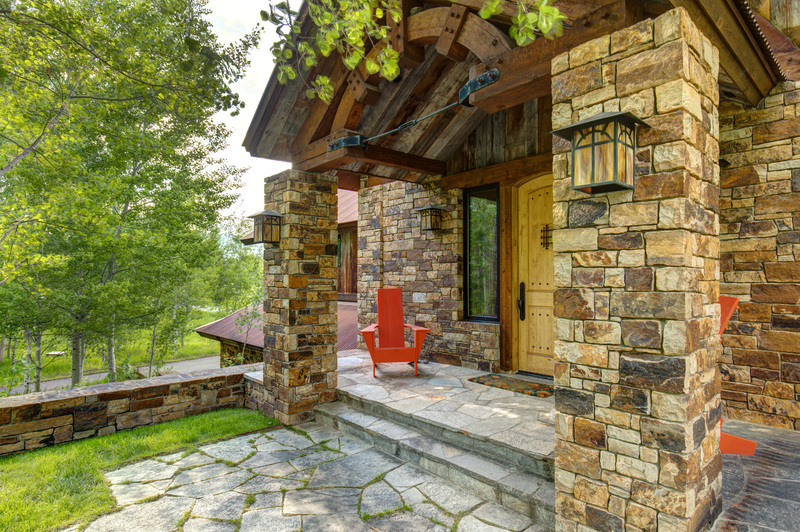 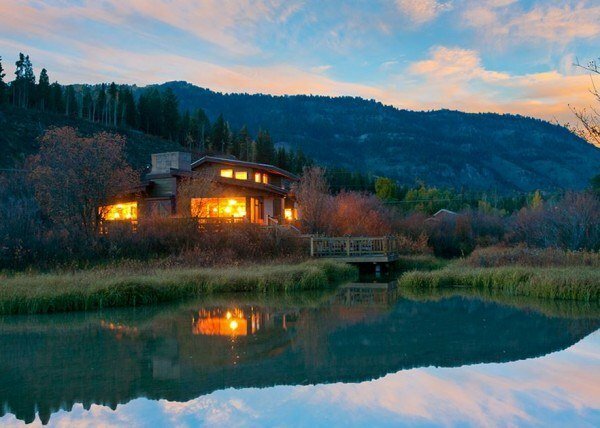 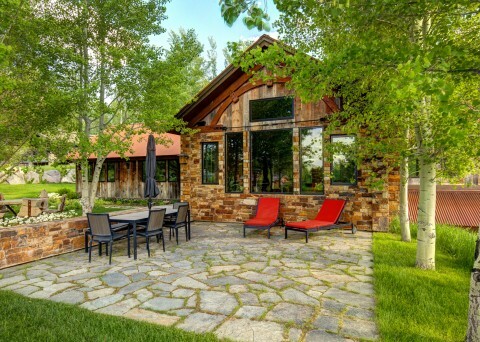 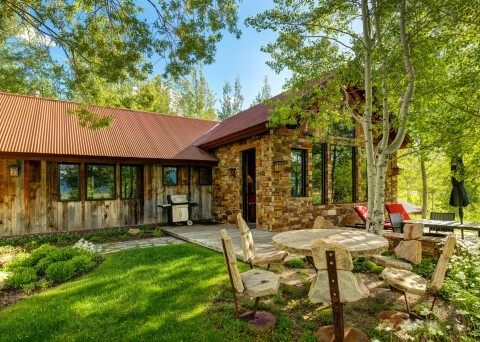 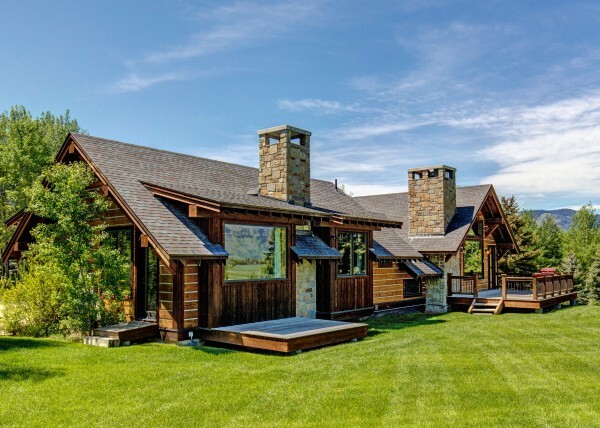 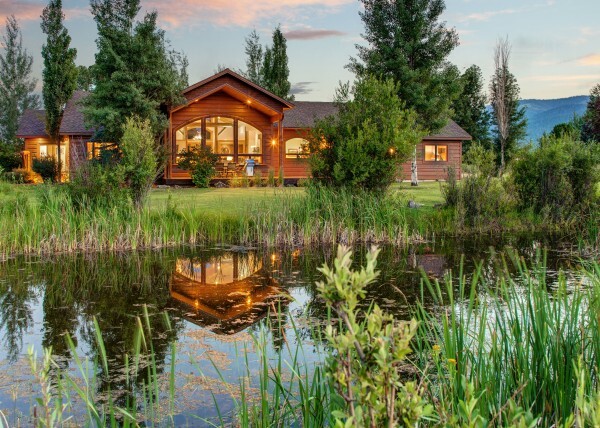 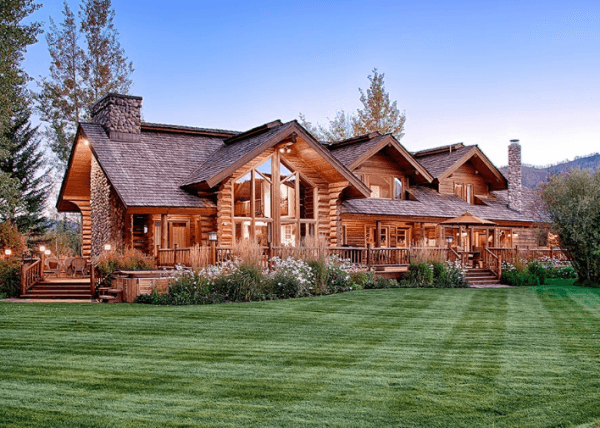 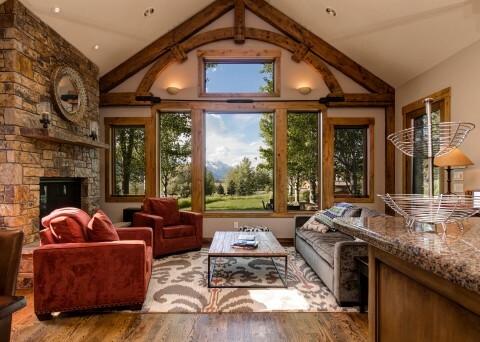 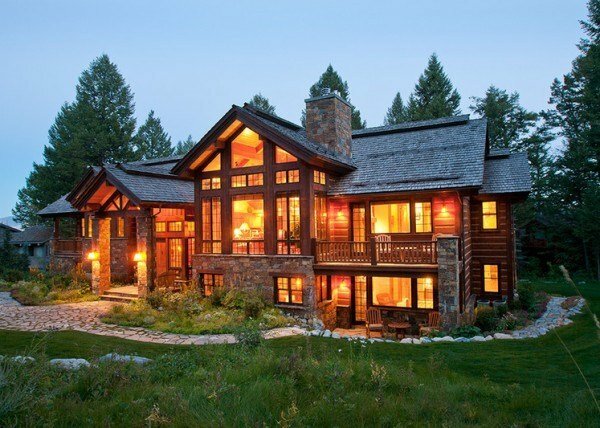 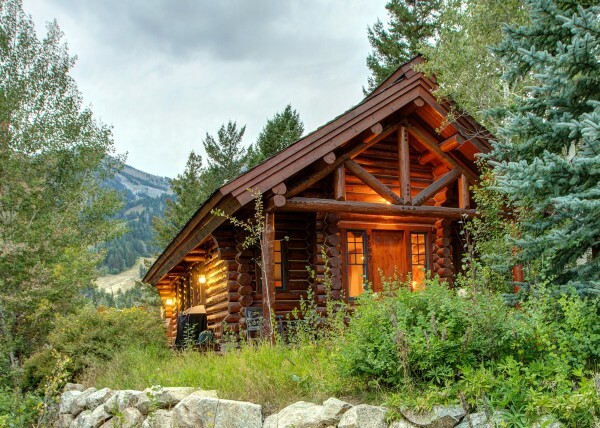 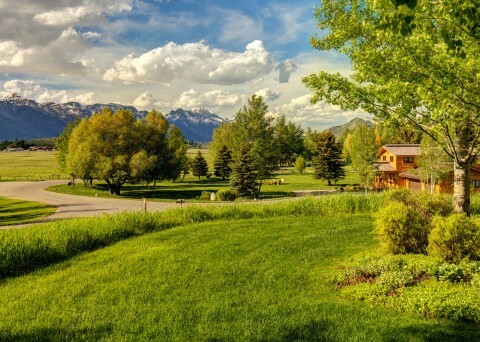 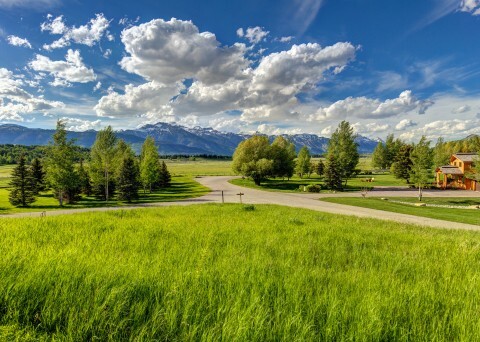 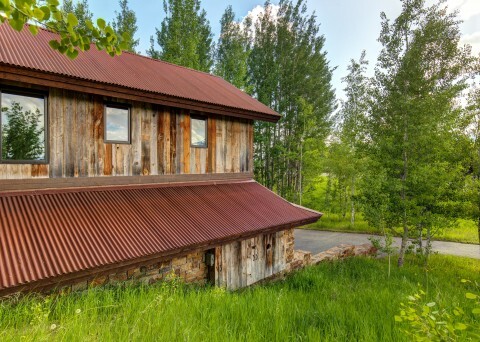 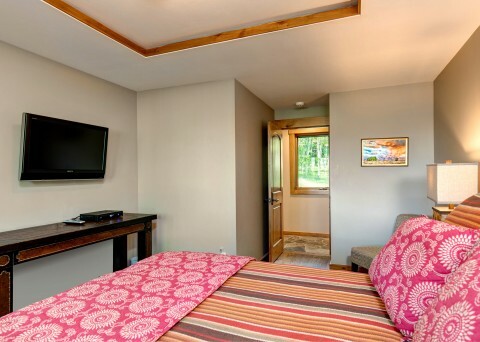 Jackson Hole is a place for adventure seekers and nature lovers, and Abode at Teton Manor is the perfect retreat to help make those memories even more special.